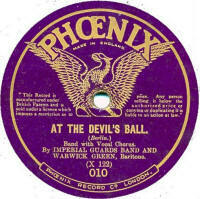 British 78rpm record labels whose name begins with P. Using the letter links below you can see pages for other letters. Palladium Dating from 1913, these were manufactured in Germany for an, as yet, unknown proprietor in Britain. 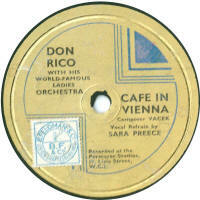 There appears to be link to Operaphone & Pavilion records and the masters of those seen came from Dacapo and Bel canto. Palmo Tone Made in England for export. Panachord Launched at the same time as it's American counterpart, Melotone, in May 1931, Panachord also looked very similar with it's striking silver-on-blue label. 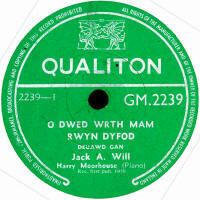 The numbering started at 25000 and ran up to 26046 when it was discontinued by it's then owners, Decca, in November 1939 a short-lived 12" Panachord with numbering from 9001 was also produced. 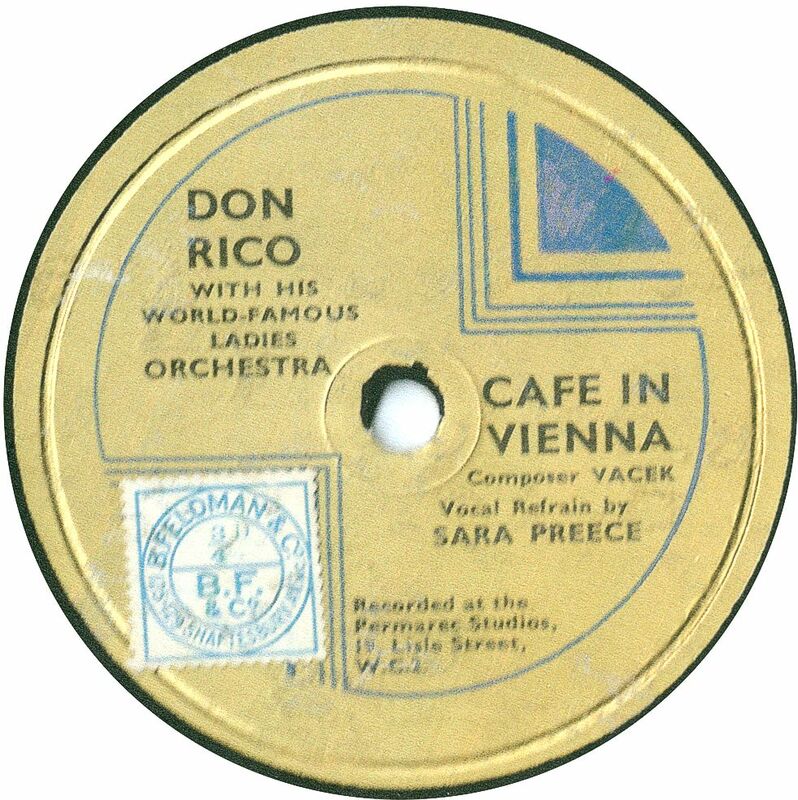 Recordings were mainly American, from Melotone and later ARC and Decca, but there were a few home-grown recordings, mainly done by British Brunswick specially for the label, then subsequently by Decca, again exclusively for Panachord, though one or two were also released on Decca as well. Some of the early Warner-Brunswick issues are rather gritty, but generally, they are smooth-surfaced and play very well throughout. Initially priced at 2/-, they soon dropped to 1/6 and then in 1935 to 1/- before being increased back up to 1/6 in September 1937 for the last couple of years. 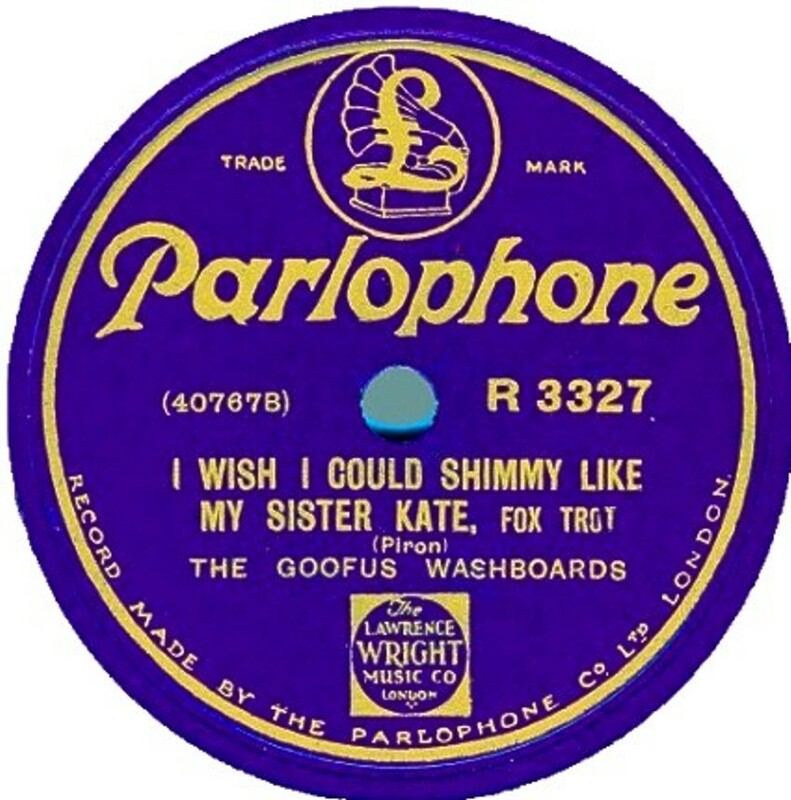 Parlophone The introduction of Parlophone in Britain marks the resurrection (as far as the record industry is concerned) of trading with Germany after WWI. The Lindstrom Company (of Germany) set up the new factory in Hertfordshire in 1922 or 23. From that the company grew to be a major label, merging into EMI, but always seeming to keep its own identity, and is still occasionally used even today (2003). American masters from Okeh, and German ones from Odeon were used plentifully. The main catalogue series were the E-5000 (red label), E/R-3000 (this series seemed to be given either prefix), the R-100 (purple, later blue and still in use today) and the F-100 magenta label. Partophone These were very early discs which appeared some time between 1902 and 1912. They were 4" in diameter, double-sided and "flexible", though I don't know what this means in terms of the material they were made of at such an early date. 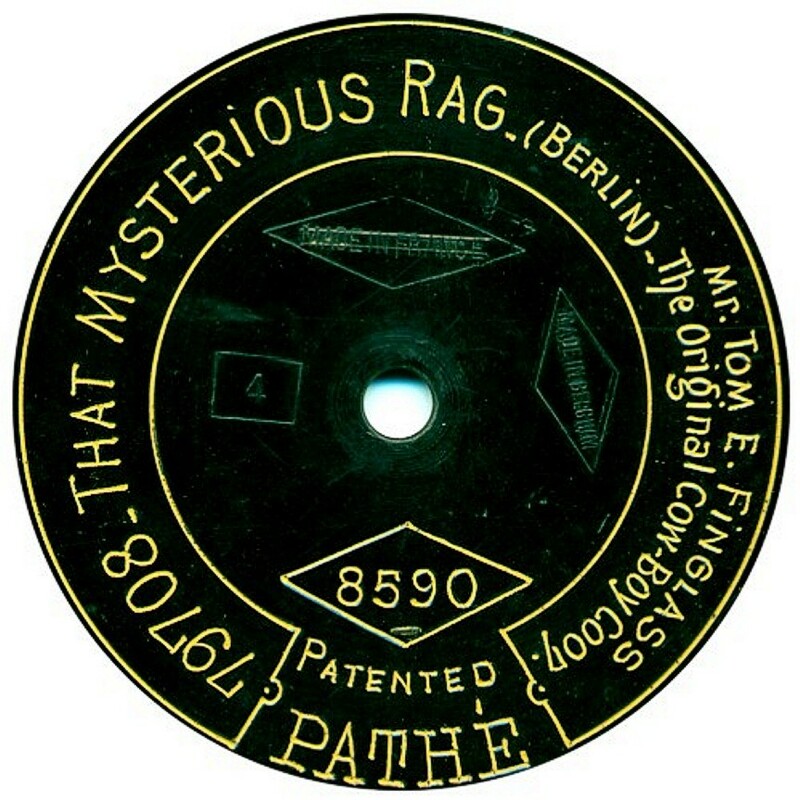 Pathe Pathe Freres (of France) introduced their discs (vertical cut, naturally) in October 1906, having already established studios in London, Milan & Moscow. The first discs varied enormously in dimensions from 7" to 20" in diameter and usually playing at 90-100 rpm, with a wide u-shaped groove, starting at the centre. 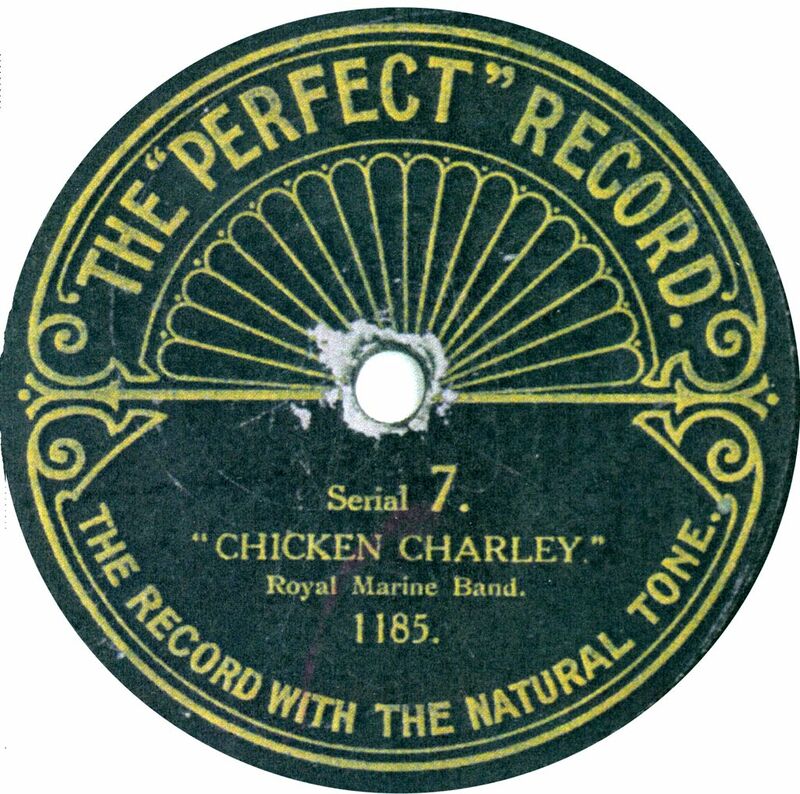 By 1914, when the American branch was set up, things had become more standardized and records were 10" to 12", 78 rpm, and outside-start, though still with a u-shaped vertical groove. 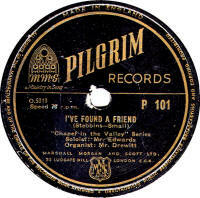 The British and American records looked almost identical (see illustration of British label). The vertical groove format was retained until about 1925, after which, the lateral-cut Actuelle became the main Pathe product outside of France. The CLPGS has now published a full listing of the Pathe label in Britain, compiled by Mike Langridge. Pavilion Dating from pre-WWI, these were manufactured in Germany. 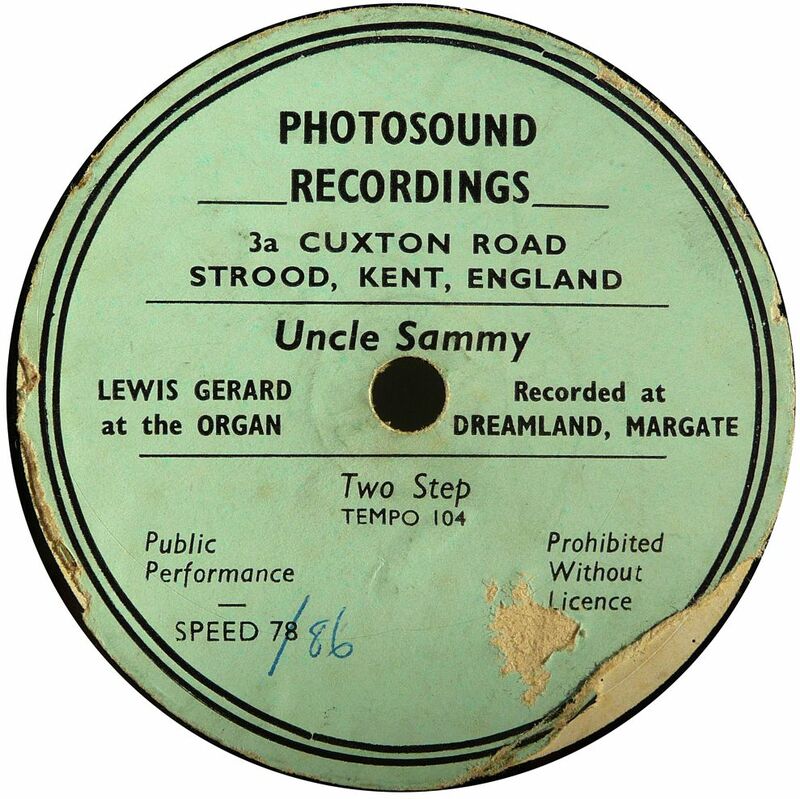 This is another very rare and short-lived label, linked with Palladium & Operaphone and using the same pool of masters, and, I believe, had the same catalogue numbers. They were not advertised in the trade journals at the time, so were probably sold via the tally-man system, though obviously not very successfully, as they hardly ever turn up. Details of any of these (apart from No. 112) would be gratefully received, so I can start listing them! My thanks to Norman Field in providing the label image. 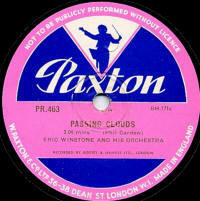 Paxton Paxton's had been a publisher of music scores since 1898 but it wasn't until after WWII they decided to have their own label, recording their own scores. The records were made in both 10" & 12" sizes and recorded pressed mainly by Oriole, but also by Decca ans Isis. 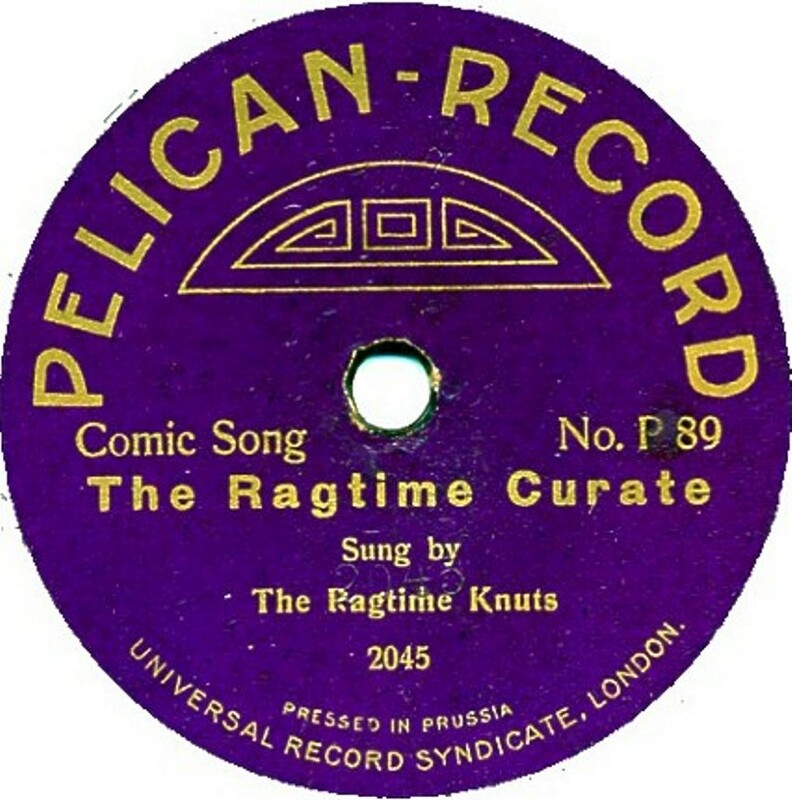 The 78rpm recors were available up to 1960 and some of the later ones were made of vinyl. The music is generally orchestral, varying from classical to big band, usually by lesser-known composers, including Granville Bantock. 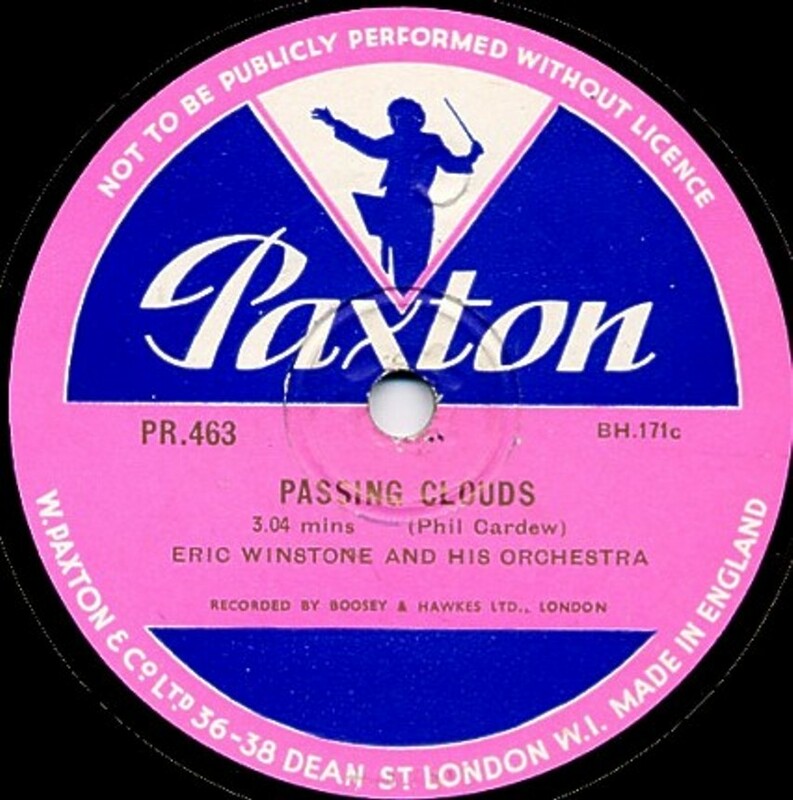 Bandleader Eric Winstone made some recording for this label; at the other end of the scale, the London Philharmonic Orchestra (as the London Promenade Orchestra) also made many records for Paxton. The records cost 5/9. 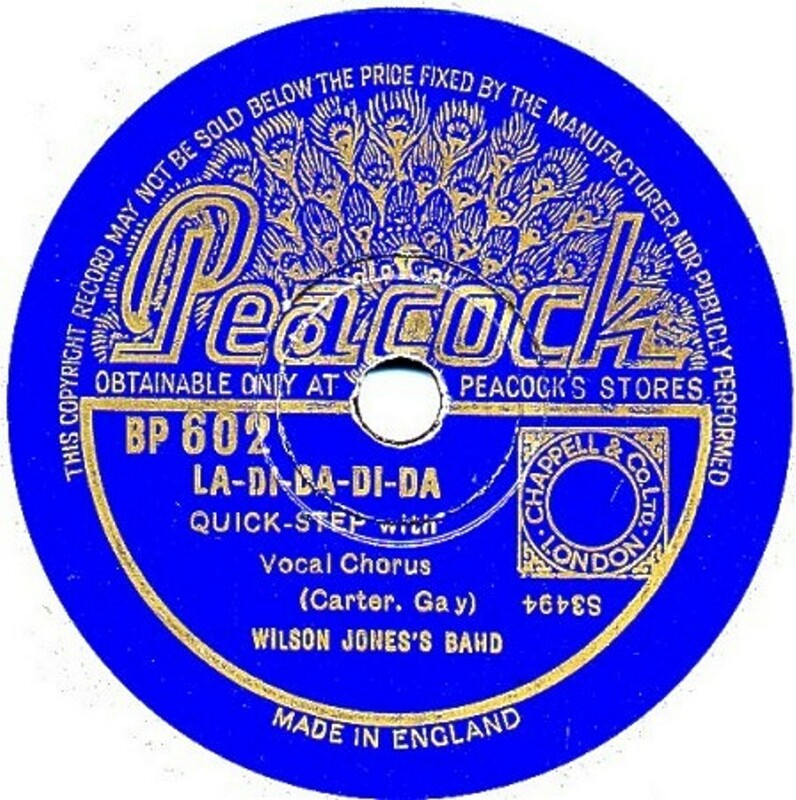 Peacock Peacock records were pressed by Decca (10") and British Homophone (10" and 8") for sale in Peacock Stores which were (and still are) based in the Midlands (in England). 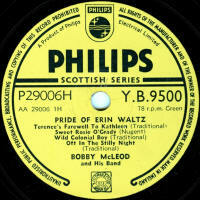 All three series date from 1933-34 and may well have been available at the same time. 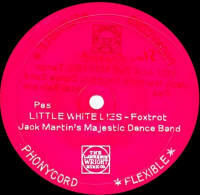 They are very scarce, not surprisingly as no catalogue, adverts or record sleeves pertaining to Peacock Records has ever been found. 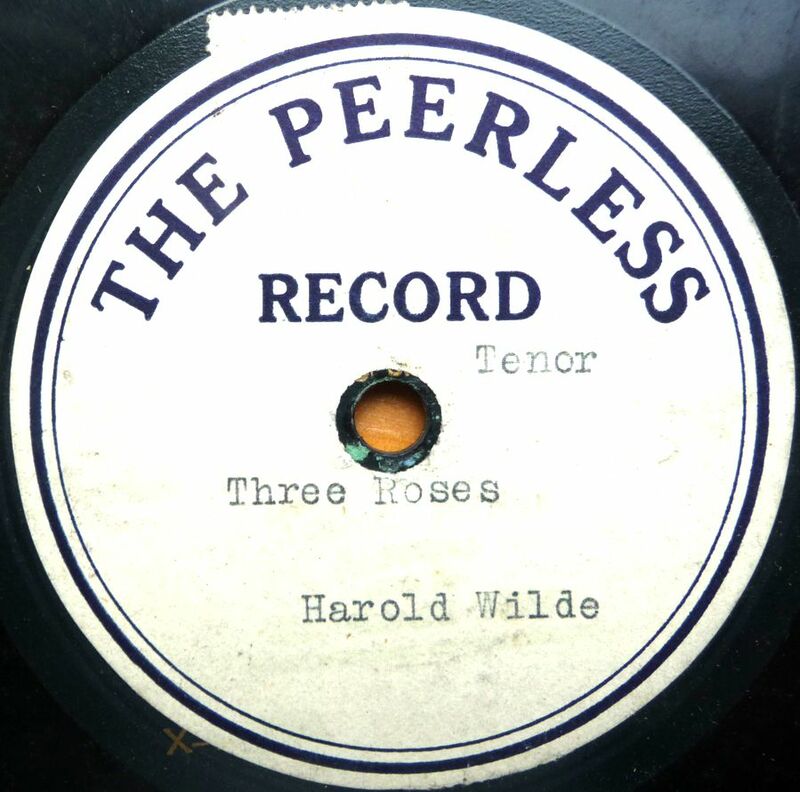 Peerless This was a label pasted over Cinch and Zonophone records, probably just after WWI as a way of selling deleted stock, though it is not at present known who was selling these records. The labels are very plain with no numbering. Label image courtesy of Bill Dean-Myatt. 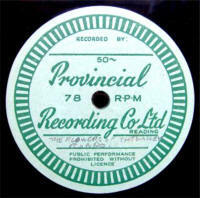 Pelican Pelican records were introduced in Autumn 1913, part of the ongoing price-war in records, costing just 1/-. Initially they were made for The Universal Record Syndicate, and later for J. Blum & Co. 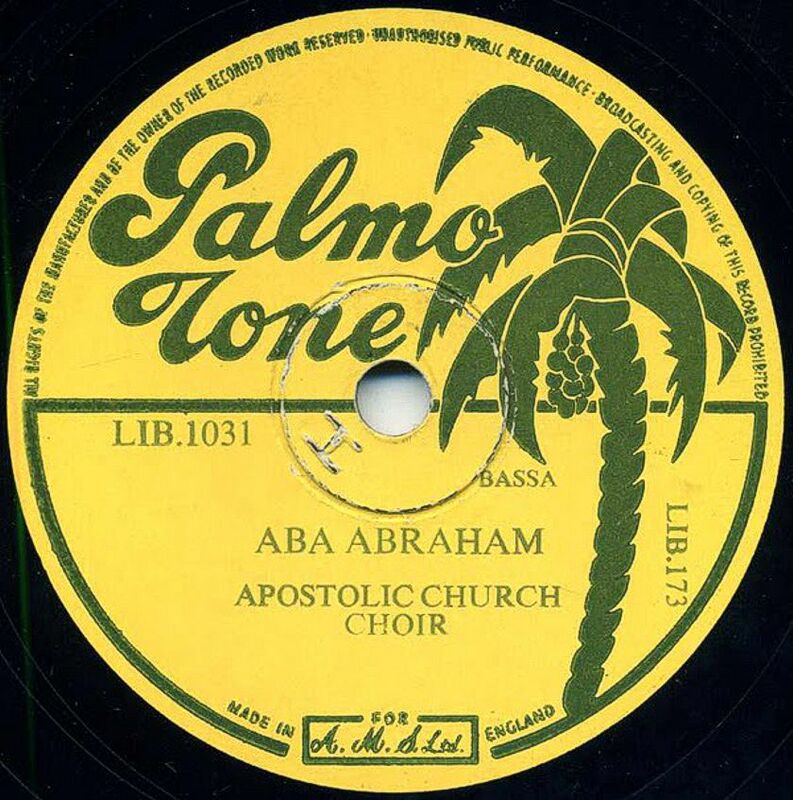 The manufacture of Pelican records seems to switch bvetween Britian (The Disc Record Company) and Germany (Kalliope) though it is not clear how this was organised. It would seem that the first batch were made in Germany (by Kalliope) using J. Blum masters. Then they were made in England by The Disc Record Company of Harrow, using whatever masters they had in the factory; mainly Blum masters, but also ARC, Jumbo, Favorite, Nicole, Beka &c. It was reported that the DRC were maving trouble pressing enough Pelican records to keep up with demand. This is odd, given that the company had reported it could press 3000 records a day. Maybe they took on other pressing work and couldn't cope. Anyway, it seems that the later Pelican records were once again made in Germany, (by Kalliope ? ), using mainly Blum's masters. By early 1914, new Pelican records ceased to be produced, the numbering having run from P-1 to about P-114 (the highest known to date). Old stocks of the records were jobbed off by other dealers. 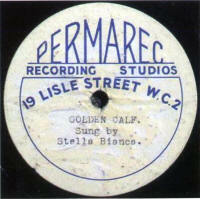 Pelican records overstuck with "Besttone" stickers turn up regularly; these were sold by The Regent Fittings Company. In 1916, the Pelican trade mark & name passed to Columbia, who never used it for records. 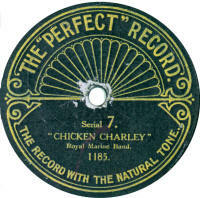 Oddly, despite the name of the label, the obvious trade-mark of the bird, though shown in adverts for the records, never appeared on the label. Perfect Record A mythically rare label; I've never seen one. 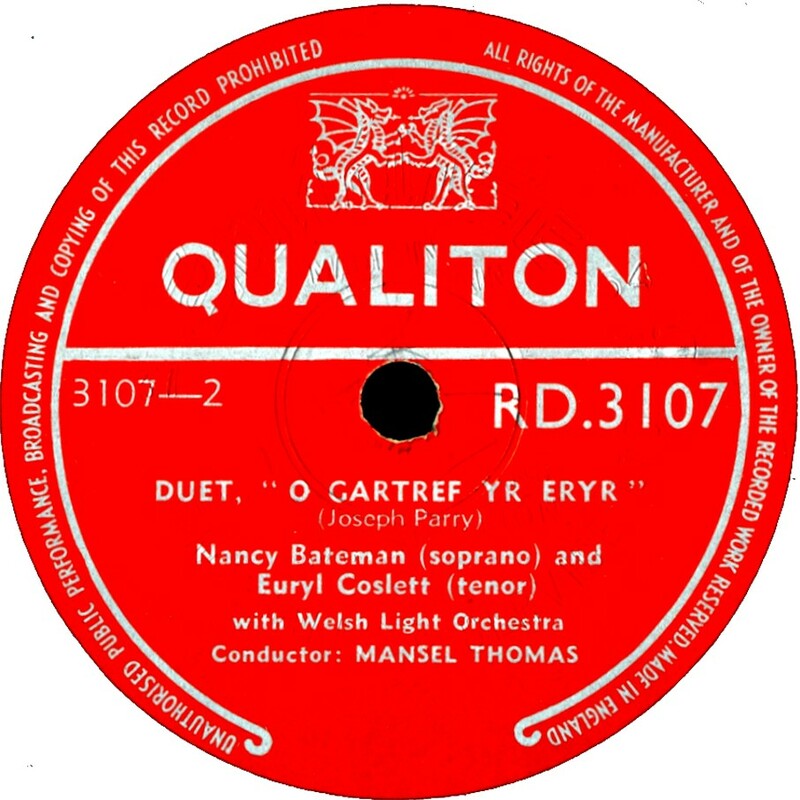 They were pressed in England by The Disc Record Company of Harrow and therefore they date from 1912-1915, but little else is known about them. The DRC didn't make its own recordings, but had huge stock of masters gathered from other companies over the years and used these indiscriminately when pressing records.These include Nicole, ARC, Beka, Jumbo, Bel Canto &c.
Details of any Perfect records of this style would be useful; I may even be able to start a listing, but at the moment, the image shown here (provided by Bill Dean-Myatt, and which I believe came originally from Rainer Lotz) is the only example known. Perfect Perfect records were quite short-lived in Britain. It was introduced in late 1927 and was available for about a year. The masters were from almost all from American and French Pathe. Only a few, early on, were recorded in England, and they were acoustic. A number of masters with English matrix numbers (N90000 series) were used throughout Perfect's life, but these were all recorded in France specially for the label, and, as far as I know, unavailable anywhere else. The Catalogue number started at P-300 and ceased at P-435. Columbia bought the company in 1928 and some of the last few Perfects may be found pressed by Columbia, with smooth laminated surfaces playing beautifully. 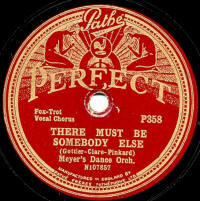 Perfection In Sound This was an acetate (direct cut) record label used by Ebbwell Sound Recording Service Ltd, of Halifax, Yorkshire. The records date from post WWII. Image from "For The Record" No. 30. 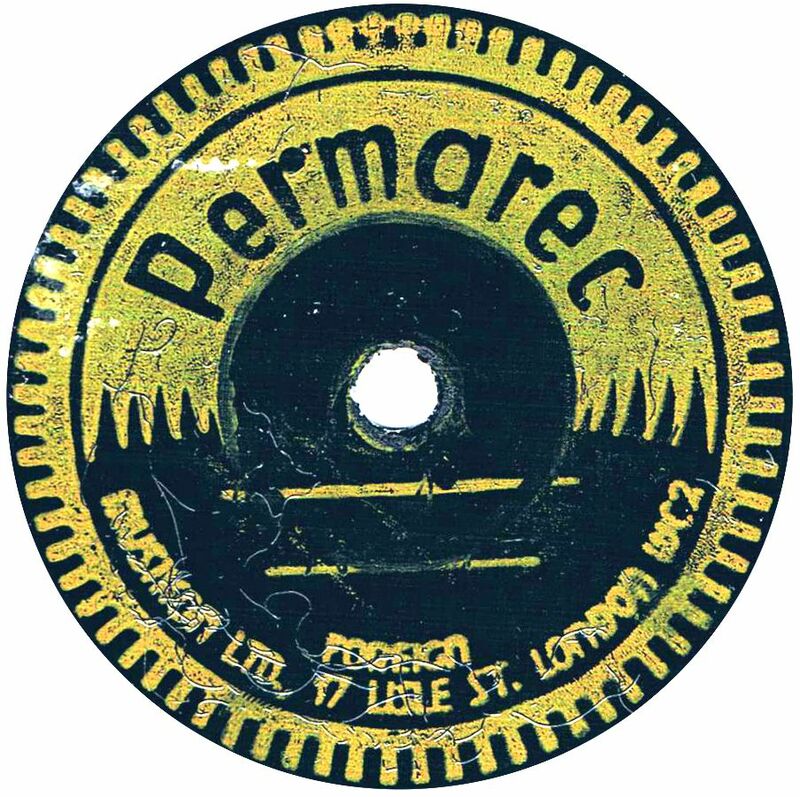 Permarec Musikon Ltd, of 17 (later 19) Lisle Street London, introduced their Permarec Records for home recording in late 1933. The records were very thin, made of a metal sheet coated in a black subtance. These could be recorded onto using Permarec's home recording device. 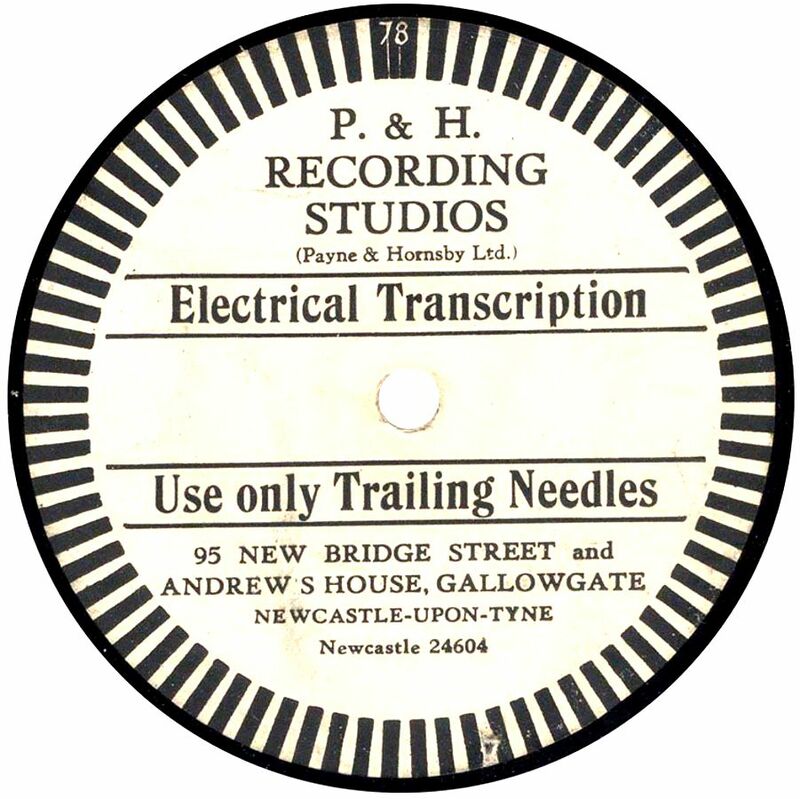 The record should then be baked for 2-3 hours at 100°c, which would harden the surface enough for the record to be played with a steel needle, like normal shellac records of the period. The system was expensive to buy, though. The outfit cost £6 17s 6d, with additional discs and a cutting needle costing 3/-. The record blanks (see first image) have a "label" printed onto the surface, including the word "Foreign"; they were made in Germany. 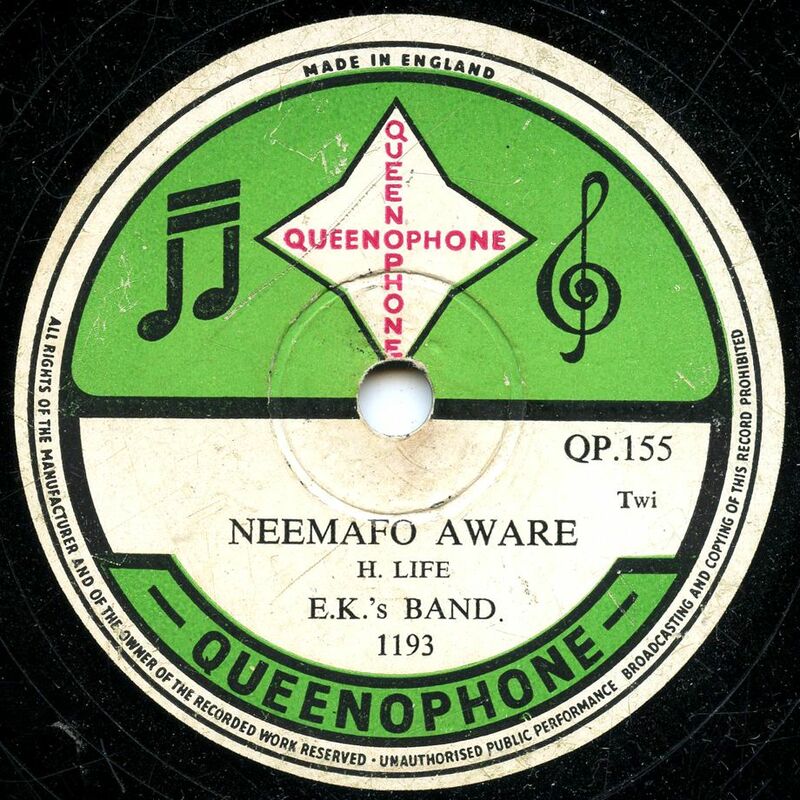 In September 1935, it was reported that Musikon now had a factory in Queensbury, Middlesex, where the blank discs would be made. Also two soiund proofed studios at thjeir Lisle Street premises. 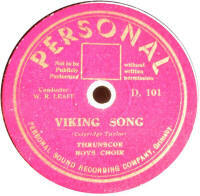 In March 1936 it was reported that several dance bands had made recordings for Permarec, but by April 1937, Musikon was in voluntary liquidation. 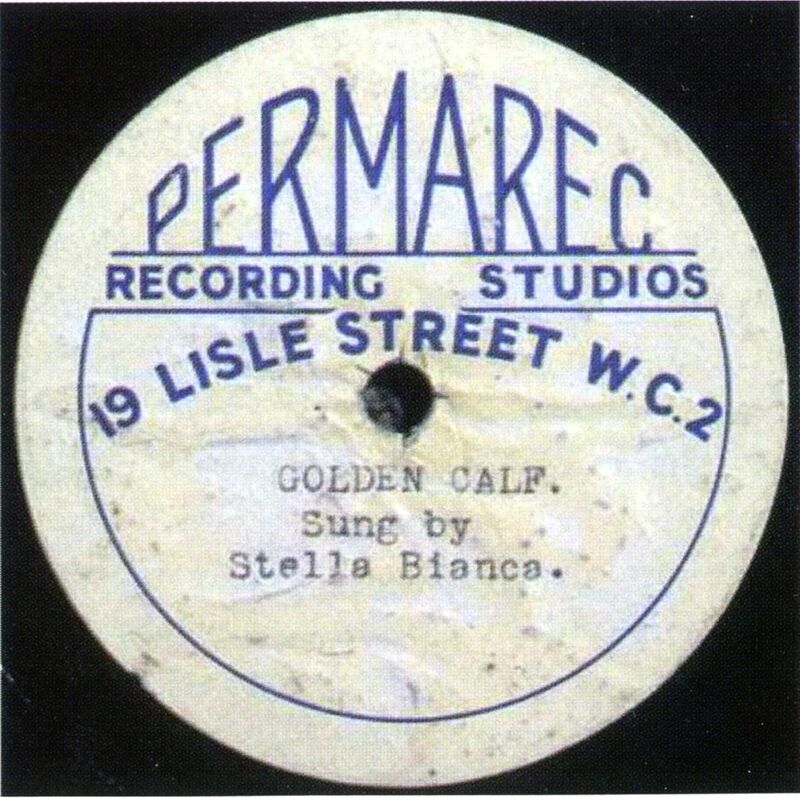 The second and third labels presumblyy date from after the period where Permarec had their own studios; the third image shows a commercially sold record, complete with copyright stamp. 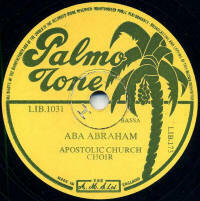 (sold in Australia) With a similar design to "Colonial" records (q.v. 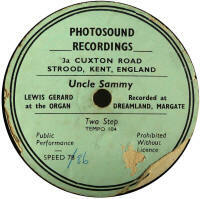 ), Perophone records were made for sale by Lockwoods of CIty Road, London around the WWI period. Philharmonic Despite the upmarket-sounding name, the music on Philharmonic records was of the usual popular fare. They appeared in 1913 and were around for about a year, with masters coming from Favorite in Germany. Catalogue numbers were in a 1 - 200 range. 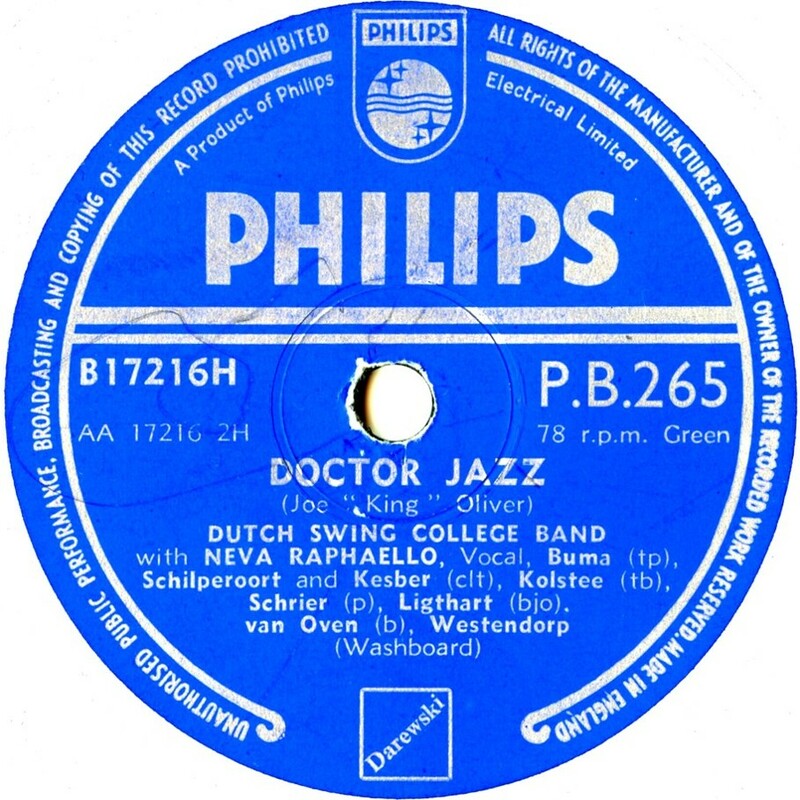 Philips Philips Electrical Ltd was based in Eindhoven, Holland. They started manufacturing records for the British market in 1953. 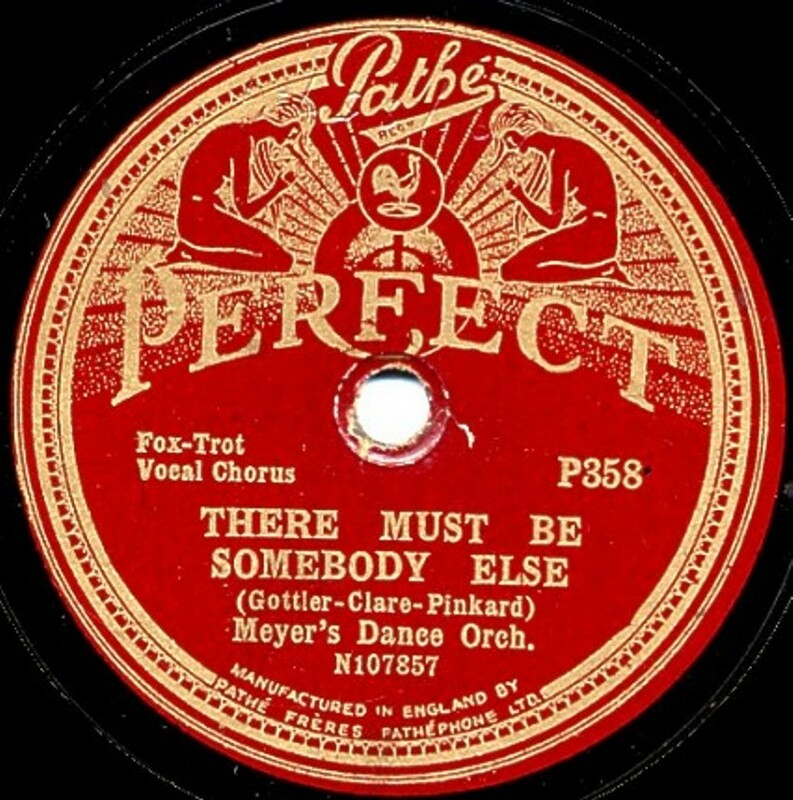 The main series was the blue labelled PB-100 series which ran well into the 45rpm era; the 78rpm issues ran up to about PB-813. There was also a Scottish YB-9500 series (yellow label) of 25 records available between May 1955 and July 1957. In addition there was an international series (not shown here) running from BB-2000 to BB-2012 and available between November 1954 and June 1958. Phoebus These were announced announced in the trade press in October 1908, but now seem to be extremely scarce, such that the only one that has turned up is the image shown here, kindly provided by Mike Atkin. 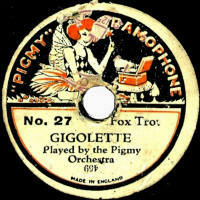 The label appears to a sister label to Phono Disc, announced sat the same time, and manufactured in France for the British market by Compagnie Internationale Phonétique. This is conjecture at the moment, as the Pheobus label doesn't have the CIP monogram that other record manufactured by this company shows. Phoenix Launched in 1913, Phoenix was Columbia's answer to the cheap imports; they cost 1/1 and were a good challenge to the likes of Coliseum, Scala et al. The fare was the usual mix of popular music - vocal, marches, ragtime, xylophone & banjo solos. The catalogue was numeric with a 0 or O prefix. starting at 01, and with an X-series matrix. Some were made in USA and the labels stated this under the label's name. 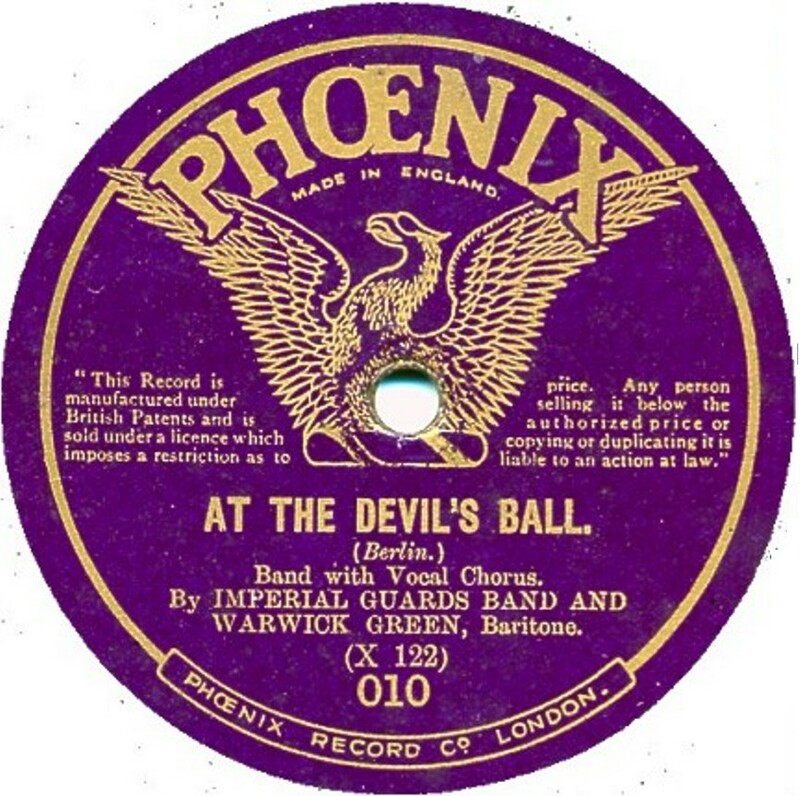 Phoenix records were available for about 2 years. 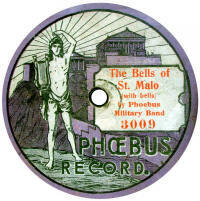 Phona-Disc This was one of the first disc records produced by Edison Bell. It was a rather odd size, being just over 8½ in diameter and with a vertical cut groove, and appeared in 1908 at the same time as "Bell Disc" and "Little Champion". although quite cheap at 1/6, they were very short-lived and hardly ever turn up. (sold in Australia) Dating from late in WWI, these were pressed by Crystalate, using Invicta (Guardsman) masters. Thanks to Bill Dean-Myatt for the label photo. Phono Disc The Phono Disc (sometimes referred to as Sapphire Phono Disc) was announced in the trade press in October 1908. It is a vertical cut grooved disc (hill-and-dale) of 11" diameter produced in France for the British market by Compagnie Internationale Phonétique and sold for 4/-. 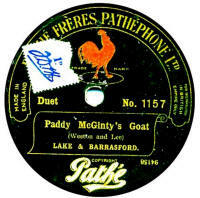 Only French versions of the label have been reported to date, but researcher Frank Andrews says that the first list of 20 records were all British recordings by British artists, though who recorded them is not known. The British agent was Lacroix & Co of Jewin St. London E.C., who also handled other French-manufactred records such as Phoebus and Aspir (all of which are vanishingly scarce! ), and dealers in Manchester, Birmingham & London all handled them. However, vertical-cut discs were never very popular in Britian (apart from Pathe), so they probably sold in very small numbers ! After a couple of months they disappeared from the trade press, so that may represent their lifespan. 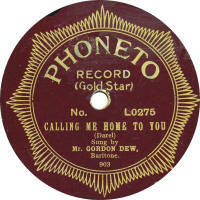 Phonycord Originally a German record, later Phonycord records were made in Britain. They were available during 1930 and 1931, and were pressed in a coloured celluloid-like material (available in many colours) very similar to Filmophone. The masters were a mixture of German Artiphon, English originals, and the American matrices were from Grey Gull. The English issues used a P- catalogue series running from P-74 to P-135, while the German ones used a series starting a 1, running to 691, but using only odd numbers! There were also German 2000, 3000, 4000, 6000 and 8000 series. The Grey Gull masters can be found in both series, while the British series also included German matrices. Photovox This name and trade mark was registered for records in 1922 to William Sinkler Darby, manufacturer of 71 New Bond Street, London. 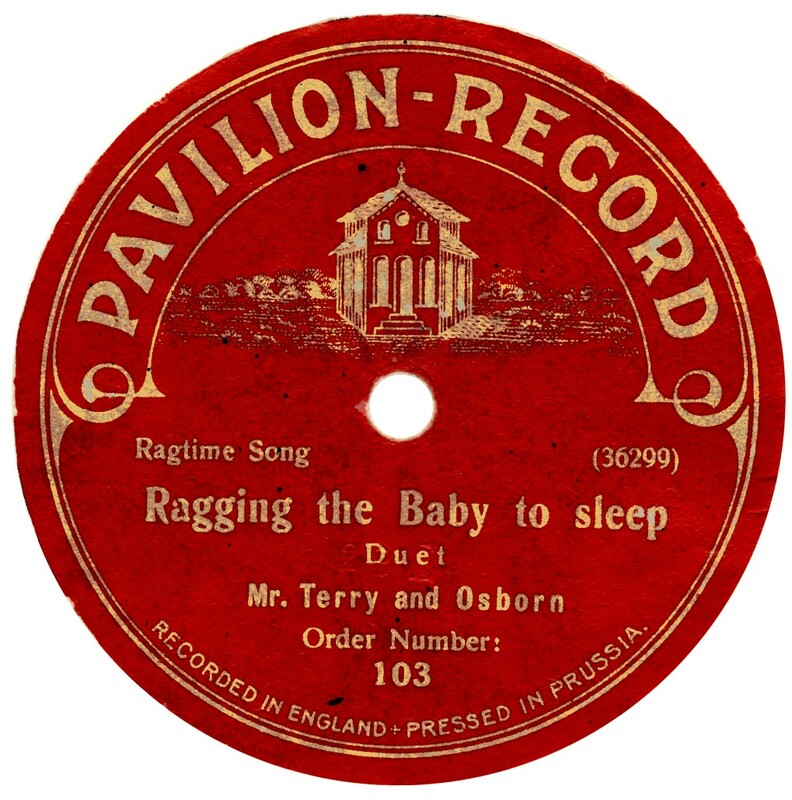 Darby had previously worked as a recording expert for Berliner an Deutsche Grammophon. However, no Photovox records have been reported. Did they ever see the light of day? Pianola Piano A very scarce label recorded & manufactured by Vocalion. These records were made to demonstrate the Duo Art player pianos, called Pianolas. The only example I've seen (see image) dates from 1926, judging by the matrix number of M-0447. There are no catalogue numbers; the number "2" on this image is coupled with number 1. Source: Frank Andrews in "For The record" No. 31. Piccadilly One of the most attractive British labels, Piccadilly was introduced in October 1928 as the budget line for Metropole Records, though the labels all state "Piccadilly Records Ltd" with no mention of Metropole. They sold in huge numbers for 1/6 (initially), reducing to 1/1 in 1931, before disappearing in April 1932. 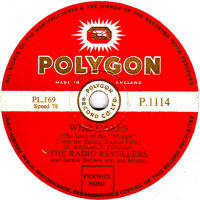 The catalogue numbers started at 100 and ran to 934, and the English matrix numbers, initially in an M-1 series (from Metropole, recorded by Parlophone) then switched to a 1000-series (with an M-perfix still, on some of the lower numbers), which were their own recordings, made at Highbury Athenaeum, Islington (later used by ITV for their studios). American recordings were initially from Emerson, and subsequently from Grey Gull and finally there were a few from ARC/Banner. There was also a red-labelled classical series using a 5000-series catalogue. The recording quality varied, but the pressings were usually very smooth, though rather brittle. Pickofall A pre-WWI label made in Germany for the British market using masters from various sources. First appeared in 1912 and cost 2/- each, they were produced for the Regent Fittings company. By May 1913, the price was reduced to 1/6 and a 12" series was introduced at 2/6. In the autumn of 1913, with the price war on, the price was reduced to 1/3. Following the outbreak of WWI in August 1914, no new Pickofall records could be produced and the German-made stocks of Pickofall records was reduced in price further to 1/1 to clear them. Presumably these would have had the country of manufacture (shown on the labels) hidden or erased somehow. Thanks to Bill Dean-Myatt for providing the label image..
Pigmy One of the many tiny records available in the early 1920s, "Pigmy" Gramophone, as they were styled, were 5½" in diameter and were pressed by Crystalate, using the same masters as their "Mimosa" records of the period. The records were made for the toymakers, Bing Brothers. The catalogue numbers ran from 1 to over 70 and the records were the usual mix of early dance music and popular vocal & instrumental selections. 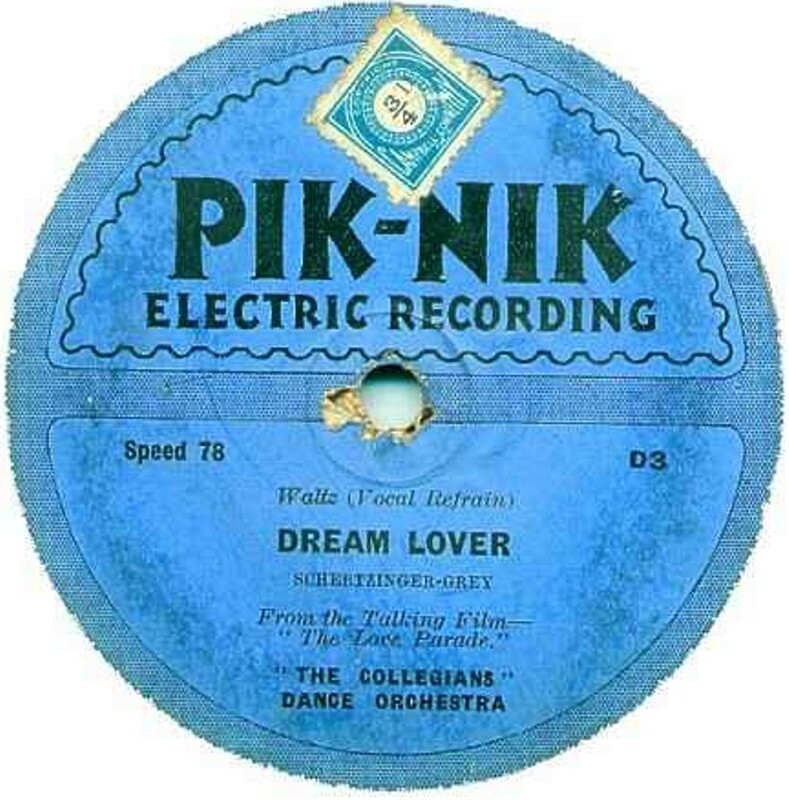 Pik-Nik An incredibly rare label, there were only 6 different Pik-Nik records ever issued. They were a type of card-backed celluloid, similar to Durium or Hit-of-the-Week, but thicker. Unfortunately this doesn't seem to have prevented them warping, but it is almost impossible to flatten them without destroying the record. All six items were dance band items, recorded specially and only for the issue on Pik-Nik. 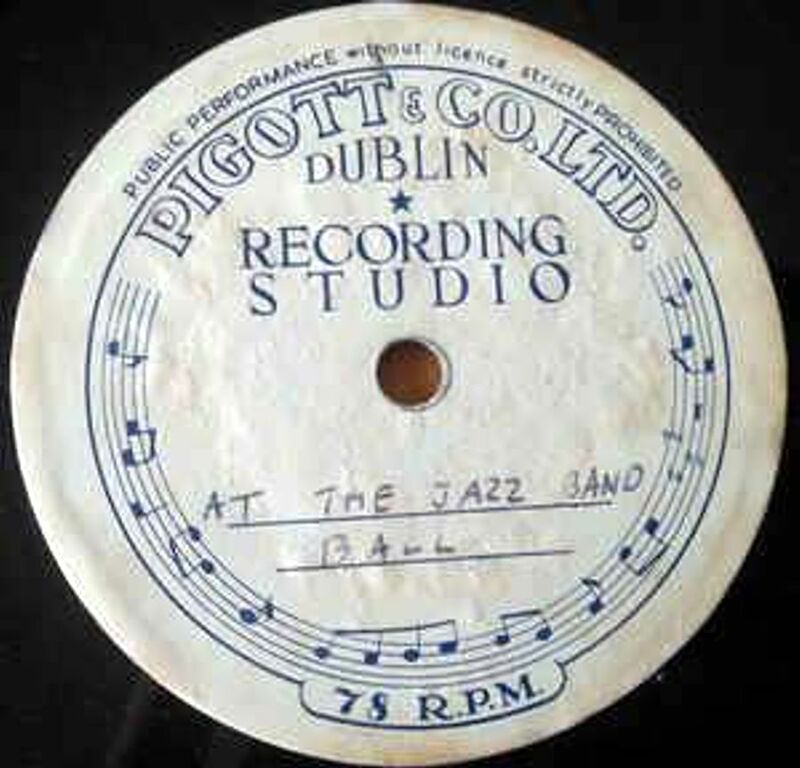 They were 9" in diameter and sold for 9d each; all date to 1930 and were recorded by Worldecho Records Ltd, whose offices were next door. Pilgrim Pilgrim was a label concentrating on religious fare, owned by Marshall, Morgan & Scott of Ludgate Hill, London. 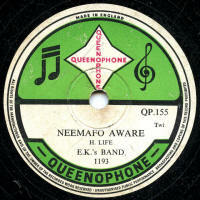 The records use a P-100 catalogue numbering and date to the later 1950s. 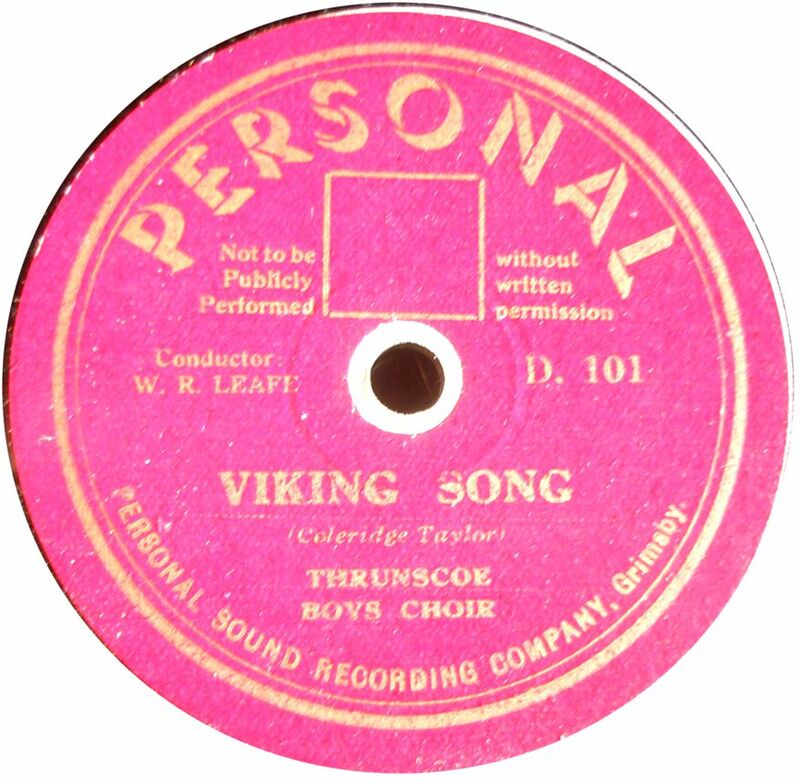 The records were pressed by Oriole Ltd at thjeir Aston Clinton factory. 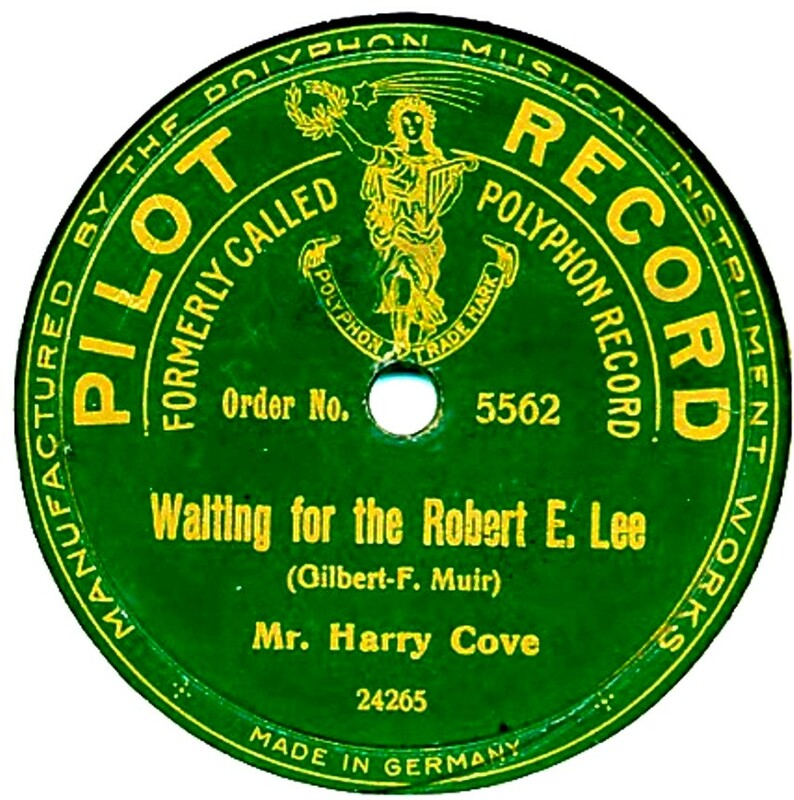 Pilot Pilot records first appeared in June 1913, having previously been called "Polyphon". 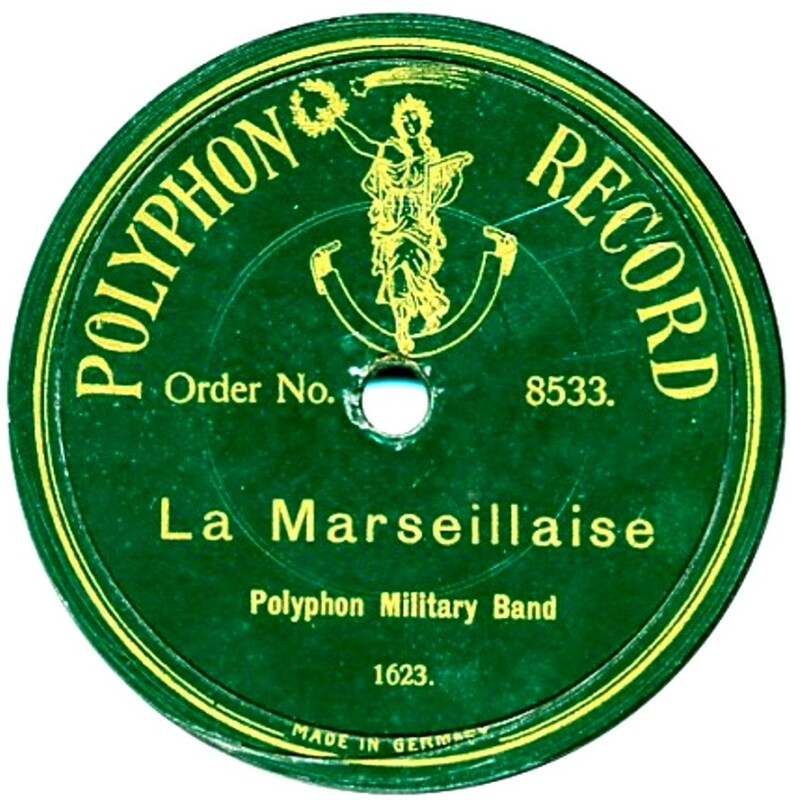 The change of name is thought to have been due in part to "Polyphon" being associated with the rather (by then) old-fashioned metal disc musical-box. It has been reported that some Pilot labels are just pasted over Polyphon ones. Like Polyphon, Pilot records were German throughout and new issues continued the 5500-series which had been used on Polyphon Records, with many old Polyphon and Klingsor (it's predecessor label) numbers of the 8000-series being retained in the catalogue and repressed with Pilot labels. Pilot Records were initially on sale for 2/6, but with the price was in the recored business driving prices as low as 1/6, 1/1 and even 1/-, the company reduced the priced in the Autumn of 1913 to 1/1. British made recordings have face numbes either in the 10000 series (old Klingsor & Polyphon ones) or 24000-series. As with most other German-made records, new issues ceased with the outbreak of World War One in August 1914. At least, no new ones were produced after the July 1914 supplement issue, the highest believed to be Pilot 5846. However, existing stocks of Pilot records were being advertised for sale by Lugton's until November 1914. There was also a "paste-over" label of this name. 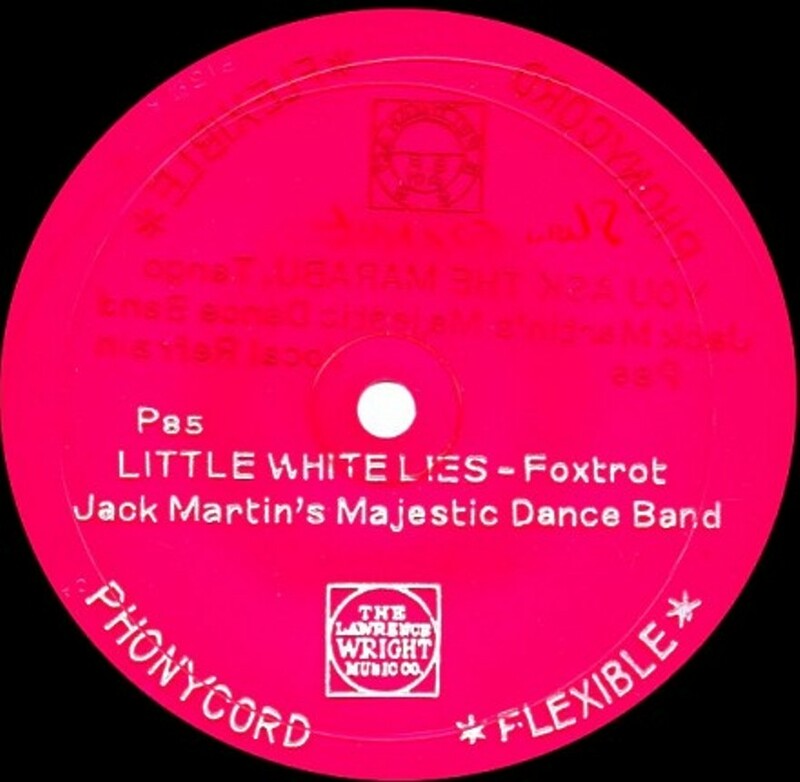 These have a plain white, pink or red label, with the label name printed in black, pasted over existing stocks of other labels, such as Winner, Imperial, Zonophone, Twin, Piccadilly and Decca, The title and description (and the artist name, when shown) are typed onto the label. 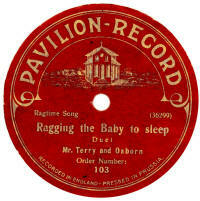 The original records date from any time between pre-WWI and the early 1930s and no catalogue or matrix number is shown on the label. Pioneer First appearing in 1914, Pioneer records cost 1/6 each, but, if you traded in an old record in part-exchange, the price reduced to 9d. 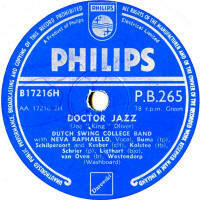 They were pressed for J. Blum and Co, initially in Germany, then subsequently by the Disc Records Co of Harrow. The labels were initially black, later changing to red, and they were quite short-lived, being only available until early 1915. A 1000- series which appears to be Hebrew material; A 2000- series and an E-1000- series. I believe the label design and colour is the same for all three series, but I haven't seen a 2000 example to confirm this. 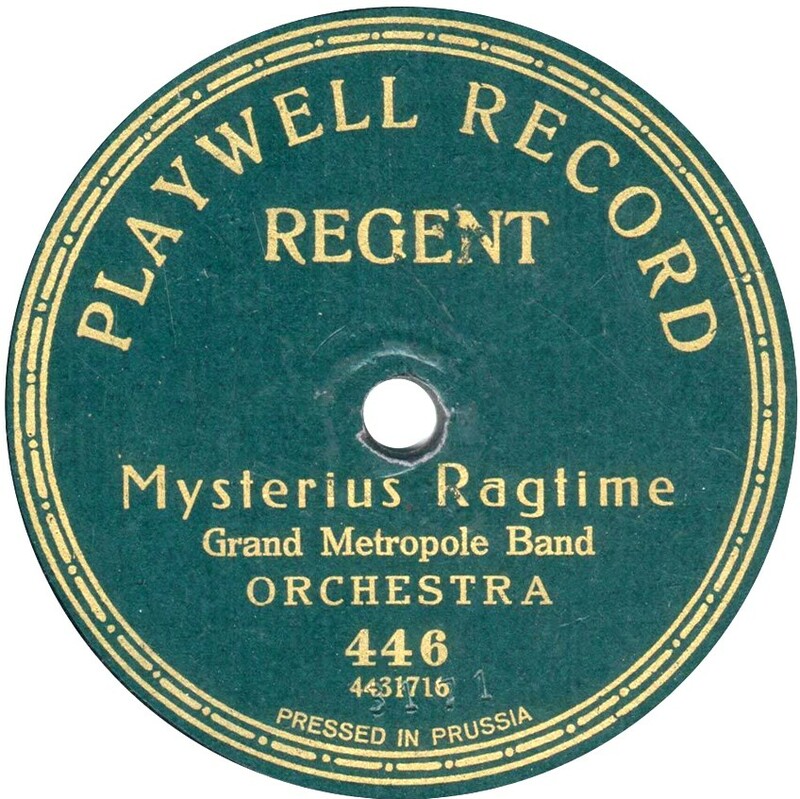 Playwell Record Dating from pre-WWI, these were made in Germany. Catalogue numbers are not always shown, but when they are, are in a 3-digit series. Thanks to Rainer Lotz for the label scan. 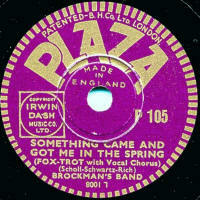 Plaza Plaza was British Homophone's main label entry for the 8" market. They first appeared in 1933, and had the familiar "strobe" design of all other BH products of the period. To keep costs low, they usually had a non-copyrighted title on one side, often mixing dance band items with classical ones. The recording quality was good, but the very tight grooving (similar to, but not as fine as "4 in1") means they do often turn up excessively worn. 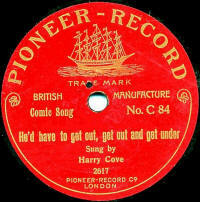 Catalogue numbers ran from P-100 to just over P-400, ceasing production when BH sold out their record production in 1935. 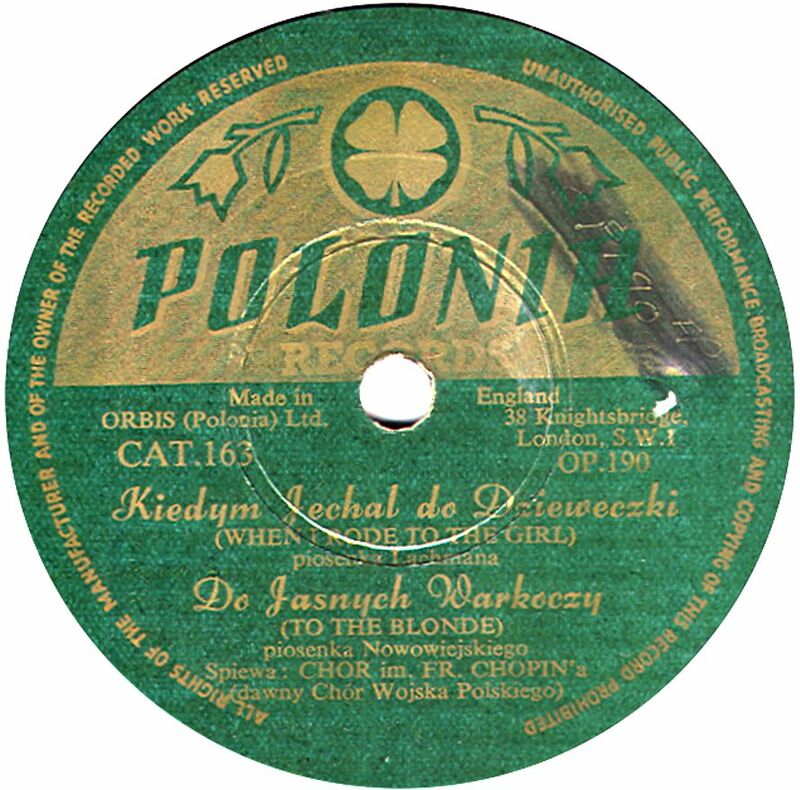 Polonia This label was owned by Orbis Polonia Ltd of Knightsbidge, London. 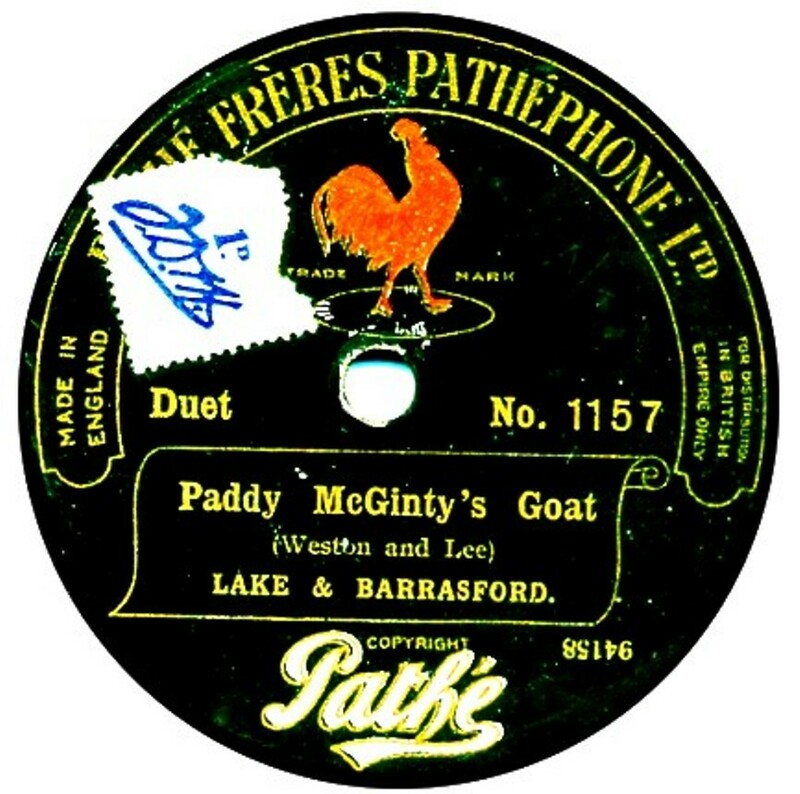 They are believed to date from the late 1940s and appear have been recorded and/or pressed by various companies, including Decca, Oriole and Gui de Buire. Polydor Following the end of WWI, the German Polyphon Company (by then owned by Deutsche Grammophon) wanted to start trading again with Britain, but the Polyphon name had been registered by a different UK dealer in Britain in 1915, so the German company decided on using the name POLYDOR instead. Due to a post-war embargo on German companies & products, it wasn't until 1925 that Polydor records made their appearance in Britain. All the records were German-made and with German recordings. They were sold by a number of dealers across Britain at various prices, including the major London dealer, Alfred Imhof. In 1927, DG entered into an agreement with Brunswick in the USA. 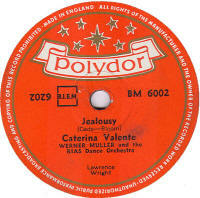 This resulted in Polydor recordings using Brunswick's "light ray" electrical recording method and also appearing on some Brunswick issues in the US and the UK. 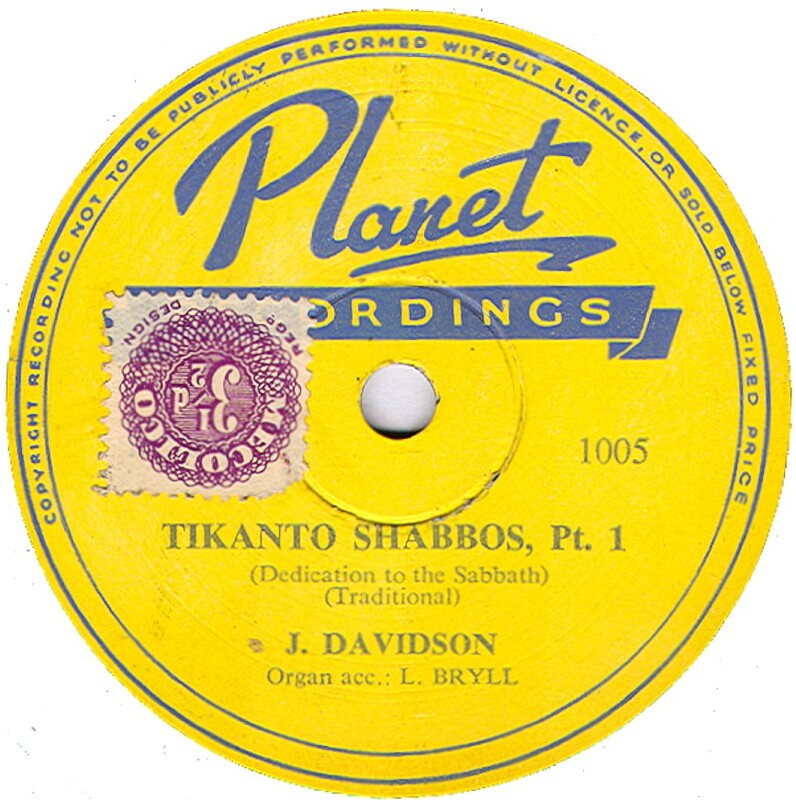 Polydor records of this period may be found with a small label noting that they were distributed in the UK by British Brunswick. 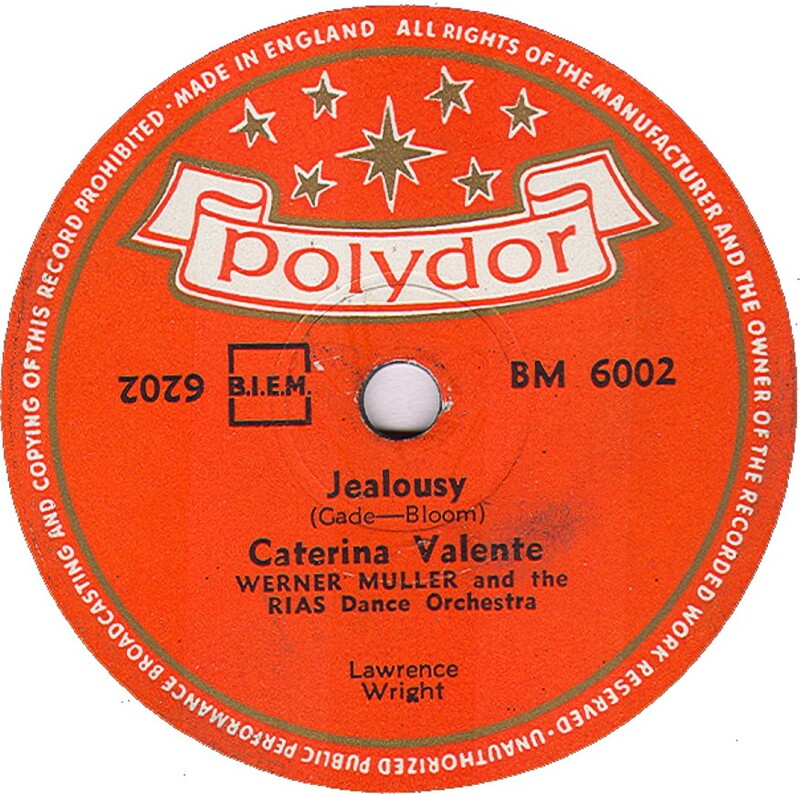 In 1928, Polydor changed their recording system to a new one called "Polyfar", then with the demise of British Brunswick in 1929, the agreement with Polydor records ended and then for a time, Keith Prowse was the agent for selling Polydor Records. 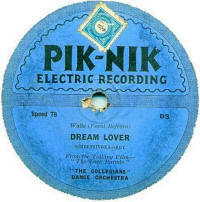 In 1932, Decca entered into a contract with DG to issue Polydor recording in the UK, and used their "Decca Polydor" label to do so. 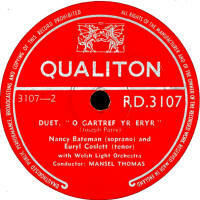 Ths agreement continued until the outbreak of WWI in 1939, after which Decca deleted all the Polydor-series issues. 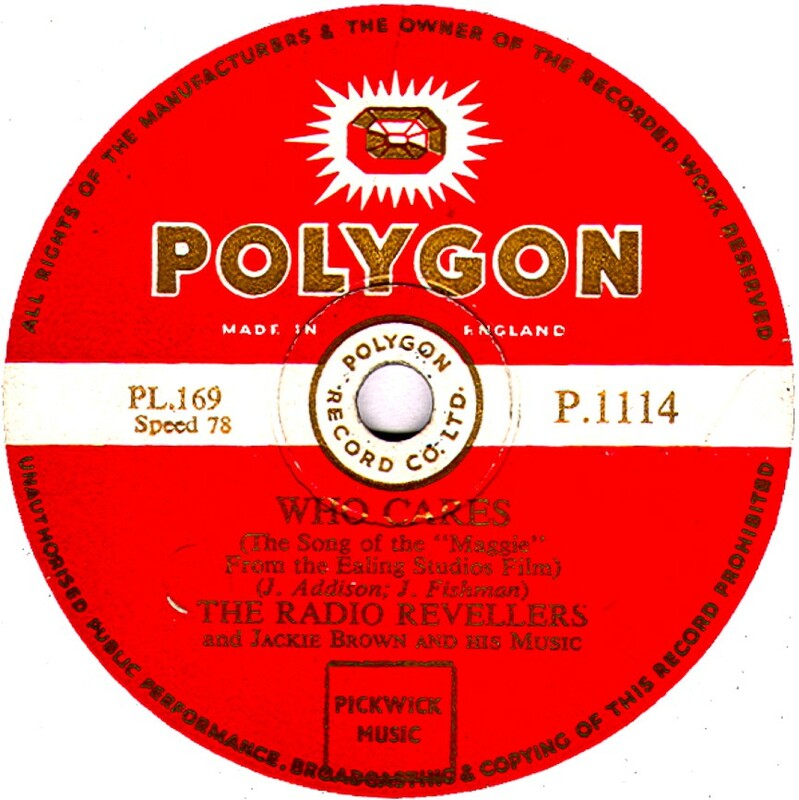 After the war, some Polydor records were advertised as being available in the UK. In 1950, Vox Productions of the USA advertised Polydor records in the UK, costing 8/6. 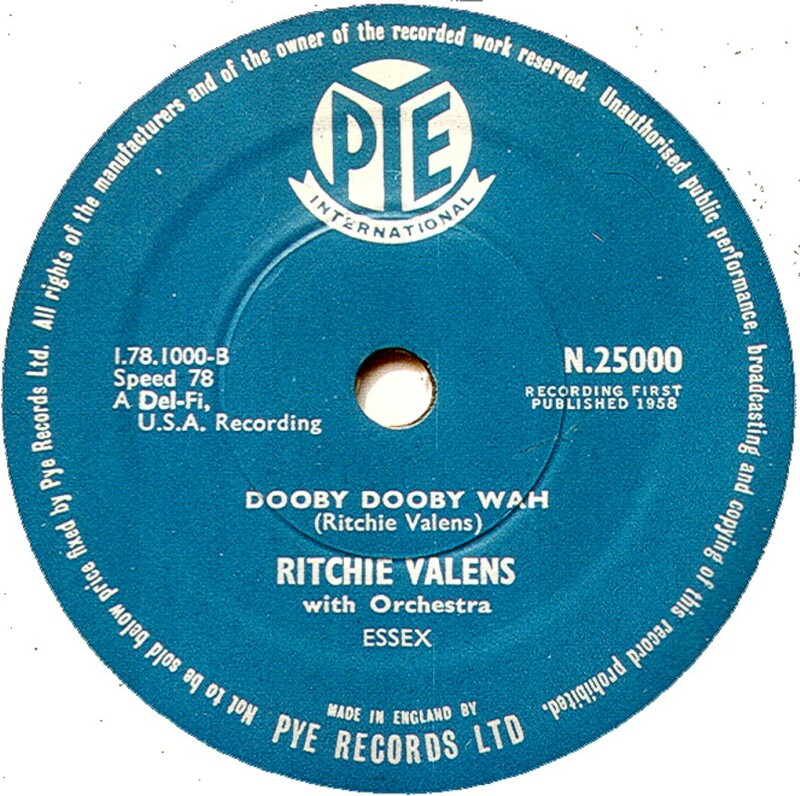 In Europe, Phillips Electrical, over time, took over the Polydor business, but the British-made Polydor label (see image) didn't appear until 1955, lasting until 1958. Frank Andrews, in his article in "For The Record" No. 35, doesn't know who pressed these records, but it could have been Phillips UK. Polygon The first Polygon records were issued in December 1950; they cost 6/- and were a product of The Polygon record Co Ltd of London SW1. The record company was formed by Alan Freeman (this is not the famous disc-jockey! ), who decided to use a small inheritance to start his own record company and he wanted to record the then teenaged Petula Clark. To this end, he approached Petula's father (and manager), Leslie Clark, who was very enthusiatic and willing to invest some money in the new company to futher his daughter's career. Up to this time, Petula Clark had been broadcasting and even made some films as a child star. The major record companies, EMI & Decca still considered her a child and were not interested, hence the Polygon deal. 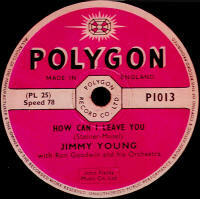 As well as launching the successful career of Petula Clark, the label did the same for Jimmy Young, later to sign to Decca and then onto a very successful BBC radio career. 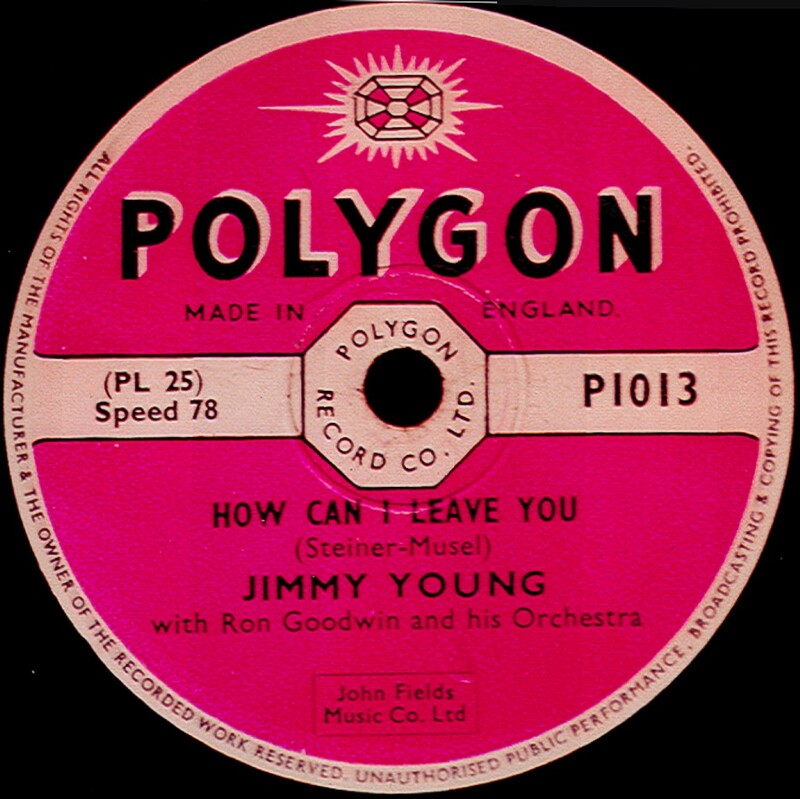 As a small independent record company at a time when EMI & Decca had the big money, Polygon struggled to survive, especially after losing its biggest star, Jimmy Young, to Decca. 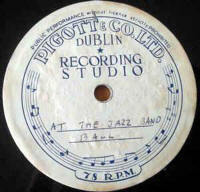 Eventually, the newly lauched Pye Record Company bought the label, specifically to get the signed artists and, on lauching its Pye Nixa label, it dropped the Polygon brand completely, the last issues being in October 1955, at about the time Pye also issued a short series labelled "Polygon Jazz Today". 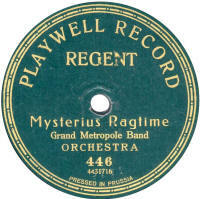 Polygon records were only available in the 78rpm format and never converted to 45rpm. The catalogue series started at P-1001, issued in December 1950 and ran to P-1190, issued in October 1955. Thanks to Bill Dean-Myatt for providing the label images. Polyphon The Polyphon Instrument Works of Leipzig, Germany had introduced their Polyphon Records locally in 1905. In 1908, they had been made available to British dealers and J.W. 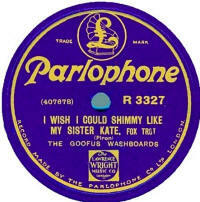 Wiliams of 92 Hatton Gardens, London was selling the German made Polyphon Records. These had labels with the text in German and with face numbers, but no catalogue numbers. 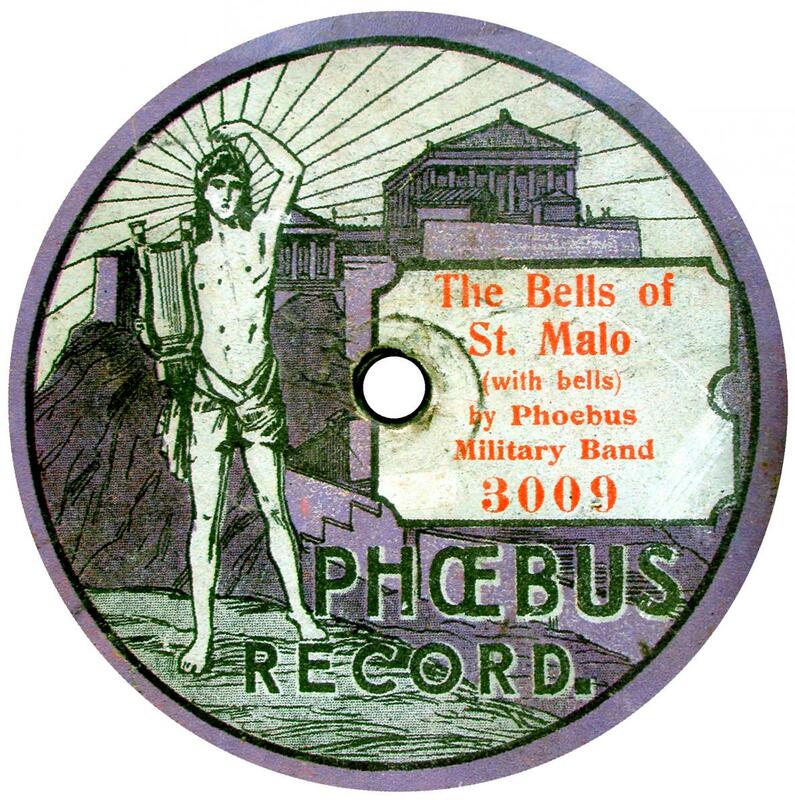 By the Summer of 1910, Williams was no longer selling these records and the Klingsor Works in London announced the that they would be selling Polyphon Records. However when they came on sale, they had decided to label them KLINGSOR RECORDS instead, to match the gramophones they were manufacturing. In late 1911, a new company, The Polyphon Instrument Works, at 25, City Road, London announced the arrival of Polyphon Records, and it seems they had taken over the existing stocks of Klingsor records and machines. New British recordings were available, but it is not known if they were taken at the old Klingsor Works, or at the City Road address. The records continued Klingsor's catalogue numbering (called "Order No") which had started at 8501. Upon reaching 9999, the numbers restarted at 5501. 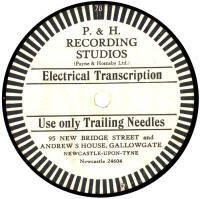 British recordings had face numbers originally starting at 10000, which upon reaching 10999, then jumped to 24000. Polyphon records sere sold for 2/6. a pretty standard price for popular records at the time. 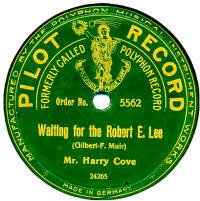 In the spring of 1913, the Polyphon records being sold now had a small sticker annoucing they would soon be called PILOT, and sure enough, a month later, PILOT records (sub-titled "formerly called Polyphon Record") was introduced. Old stocks of Polyphon Records were taken on and sold by Lugton & Co of London. 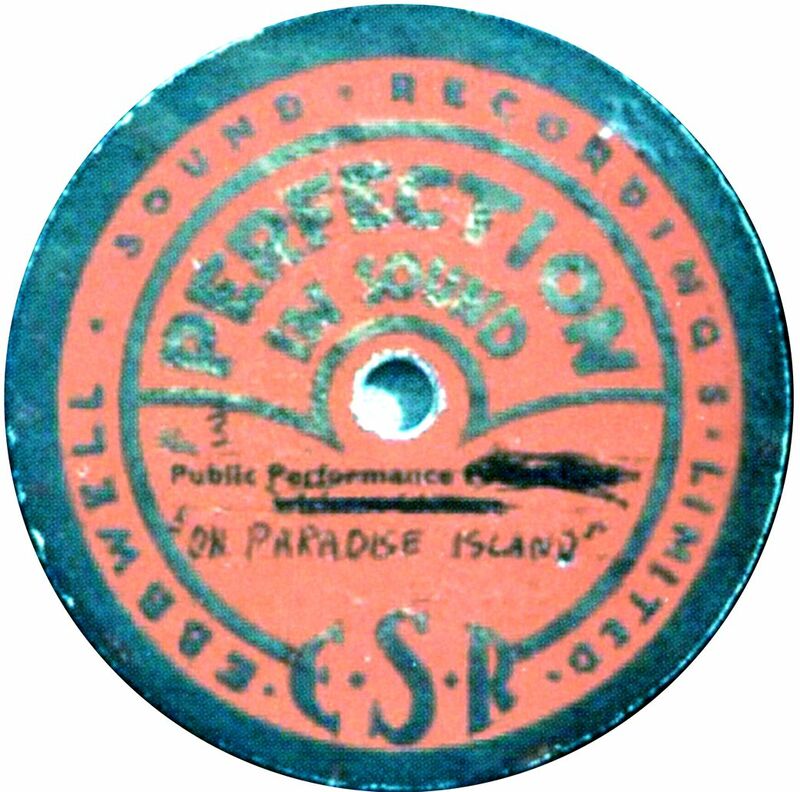 Popular Popular records first appeared in 1913, part of the onslaught of "cheap" labels which appeared at that time. Made by the Crystalate Gramophone Company using masters from the Sound Recording Co, they were initially an oversized 10" record, before settling to a standard 10". Catalogue numbers were in a P-series, starting at 1 and running to over 1200 by 1923 when it was superseded by Imperial. 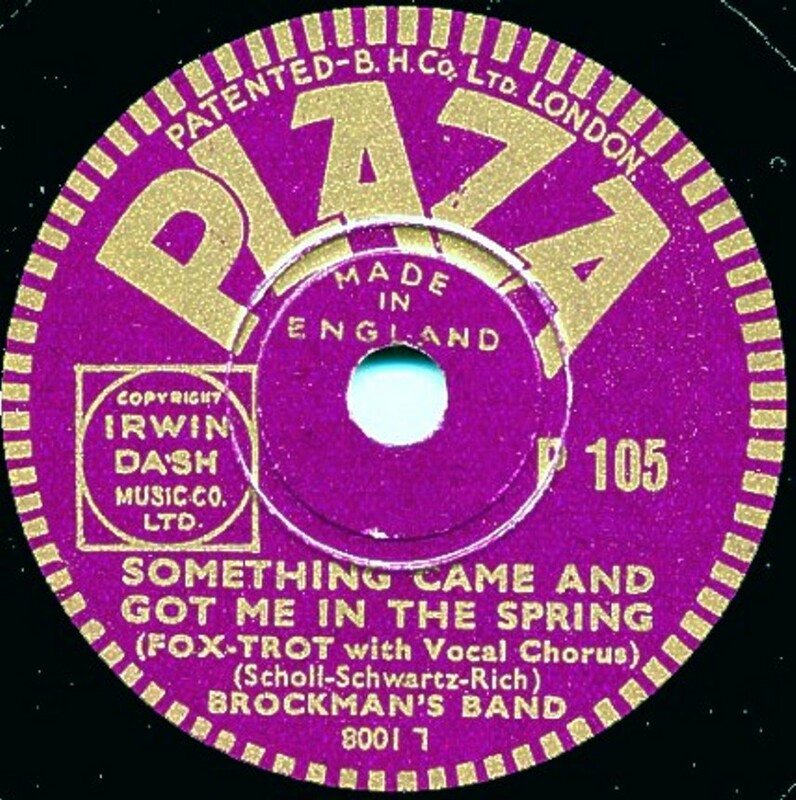 Popular records were initially priced at 1/-, riging to 1/3 in September 1915, to 1/6 in Spring 1916, to 1/8 in January 1918, and by December 1919 had risen to 2/6, and to 3/- in July 1920 before falling back to 2/6 in September 1920. These prise rises match many of the other cheap labels of the time, brought about by the demise of the cheap German imports and rising material costs both brought about by WWI. 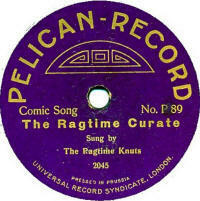 Popular Ballot This record was manufactued by Vocalion in the early 1920s specifically for the L.E. Kent Publishing Company. It ws a 12" disc and is believed to be the only one with this label. The catalogue number, LK-2112, implies others in the series, but the LK- suffix must refer to L. Kent, though maybe the numbers were part of a larger one-off type set of issues. 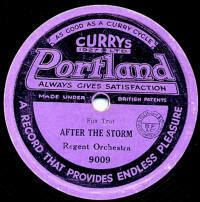 I have not been able to find out anything about the L E Kent Publishing Co.
Portland The Portland label was a Curry's product, the label being a paste-over upon existing (probably outdated stock) Edison Bell Winner records. The earliest seen are in a pale blue with an almost illegible gold print (and a 1000-series catalogue number) pasted over early (WWI) Winners. These were followed by an 8000-series red label with an identical design to Westport (another Curry's Winner paste-over) followed by the more familiar (?) violet label (9000-series catalogue) which, amazingly has "Curry's (1927) Ltd" on the label. These records themselves usually date from 1923-24! 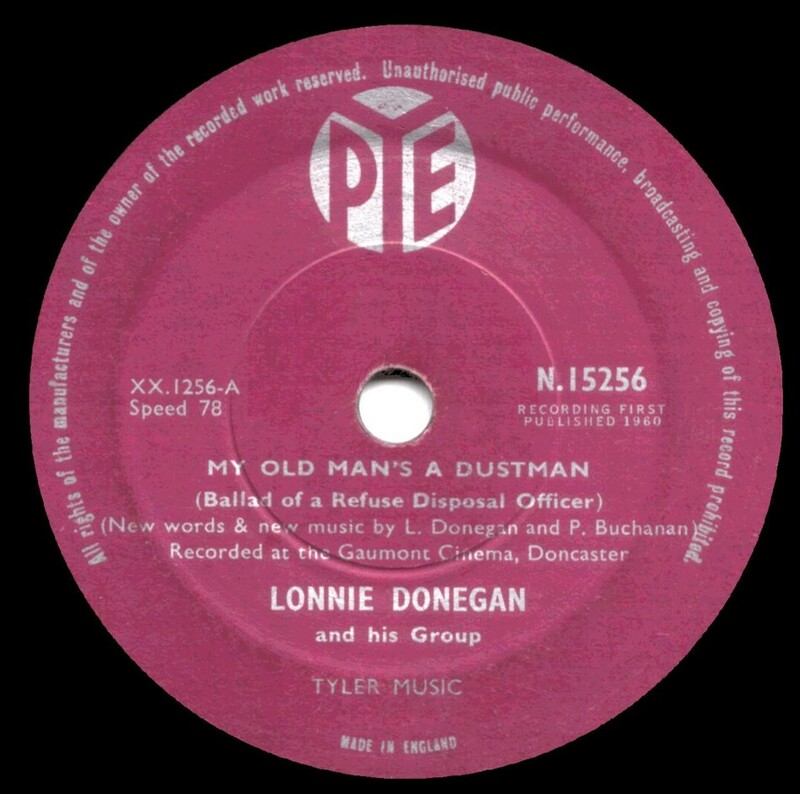 (sold in Australia) A very uncommon label, Possum records were sold though Allan & Co of Melbourne (Australia) and were pressed in England from Guardsman masters. 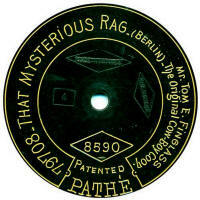 The label dates from about 1917. The numbers start at 501, and as the only one reported is 501, it may be there was only one issue!. The label is orange with dark red printing. Please e-mail me with details of ANY other of these records. also a colour label scan to replace the monochrome image. Potomac The first Potomac records are from an unknown date, maybe post WWII and were owned by Virtue Records. The label has a large treble clrf as a logo, with the label name beneath it. 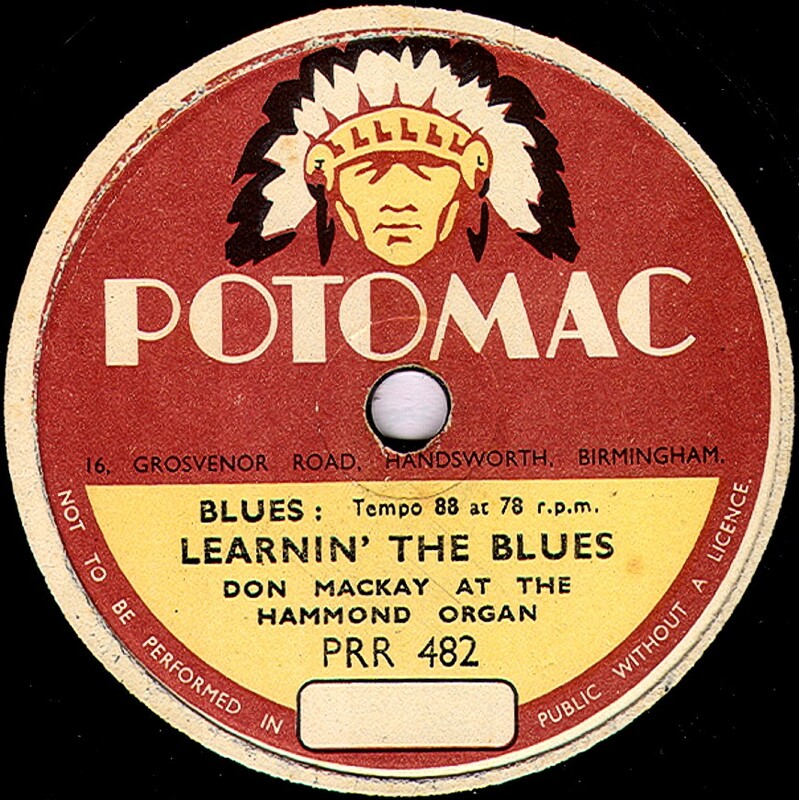 The more familiar Potomac label, as seen here dates from post-1950, which was when Hollick & Taylor, of Birmingham, acquired the Virtue Records company and started issuing Potomac records. 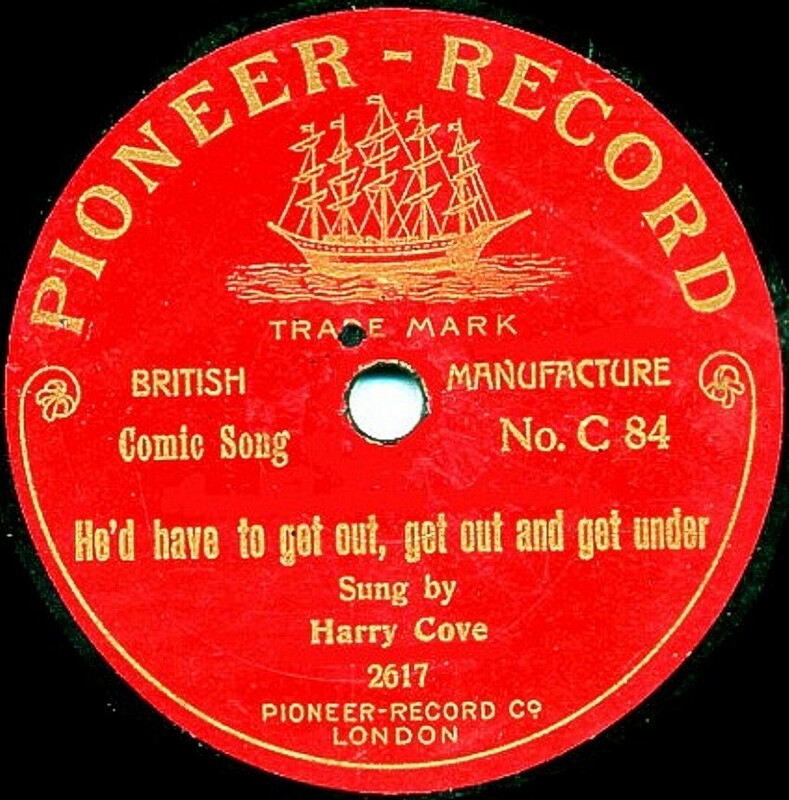 British Homophone Ltd pressed the records in London. 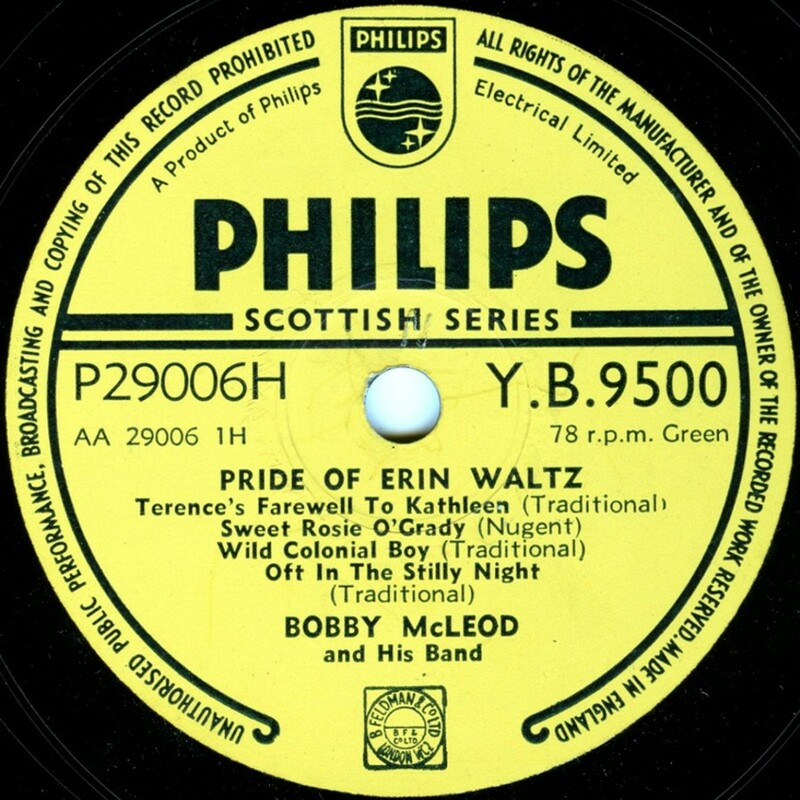 The label was specifically produced for issuing music for playing in skating rinks; the records only being available to managers of the rinks and not sold to the general public. 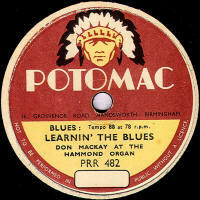 Potomac records were available from about 1950 to 1958 and only 99 copies of each record were pressed. 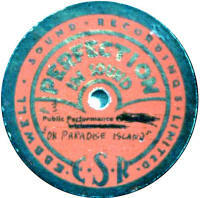 Premier A very scarce label dating from about 1909, this was a 10½" record which was pressed from Edison Bell's "Bell Disc" masters. Catalogue numbers were in A-1 and B-1 series. It is not certain who these records were made for, but possibly The Premier Talking Macine Stores in Vicarage Lane, Stratford (London?). As with other Edison Bell "clones" of this period, they are so scarce one wonders what was actually going on! Puratone The Puratone Record Company's factory was the Arcadia Works, Church End, North Finchley, London, which had previously belonged to The Diamond Record Co, makers of Diamond Picture discs. 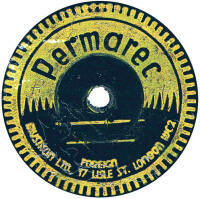 The Puratone Records, like the Diamonds, were bespoke picture discs, mainly prodcued for advertising purposes. They pressed the records using old masters salvafed from the defunct Dominion Record Company, which ceased trading in 1930. 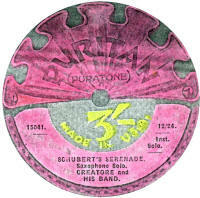 The Puratones are thought to date from about 1935-36, after The Diamond Record Company had finished. 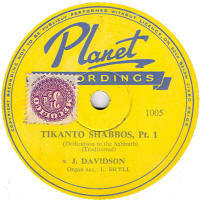 However, the Puratone records are reported to be flexible, more like "Trusound" records, whereas the Diamonds were solid-stock encapsulating a picture. Frank Andrews' article in "For The Record" issue 41 has much more detail. Puritan Puritan was a subsidiary label, in the U.S., of "Paramount", a product of The New York Recording Labs. 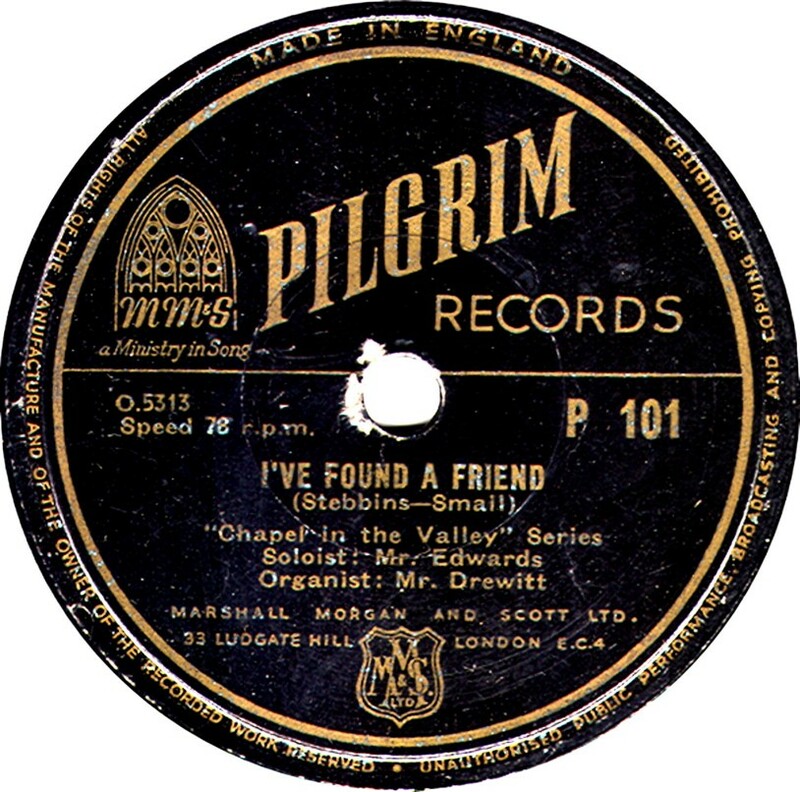 In late 1924, however, the Puritan records, with a design as show on the right, were being sold in Britain, though they were manufactured in America. The registration in the UK of the Puritan Trade Mark dates from December 1924 ans was applied for by the Artistic Supply Company of 119a Old Christcurch Road, Bournemouth, to cover phonograph records. 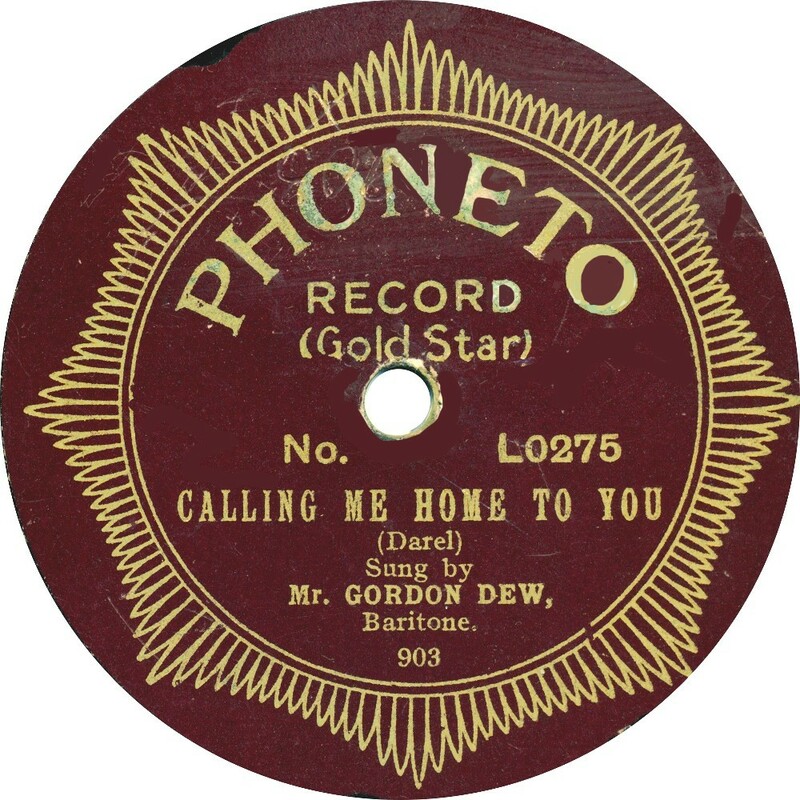 The use of the term "Phonograph" rather than "gramophone" implies an American company. 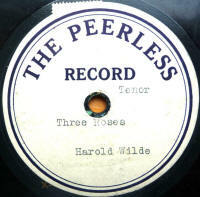 Unusually for records sold in Britain, the label shows not only the date (12/24) but the selling price of 3/-, making the records fairly expensive for popular fare. Pye The Pye Radio Company, started issuing records in 1954 after aquiring the Nixa Record Company. There were three different labels initially: Pye International, Pye Nixa and Pye Nixa Jazz Today. At the end of 1959, the company dropped the Nixa name and the last few Pye Nixa 78s (and the 45s of course) were just labelled "Pye" but with the same design and colour. 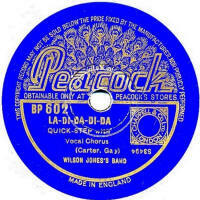 I don't know if the Jazz Today Series also dropped the Nixa name for the last 78s. 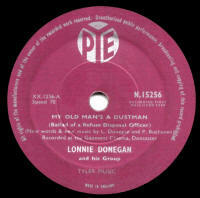 Many were available pressed either in standard shellac or in vinyl, one of the few companies at the time to to this. 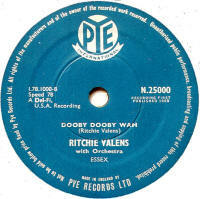 Thanks to Bill Dean-Myatt for the Pye International label scan. 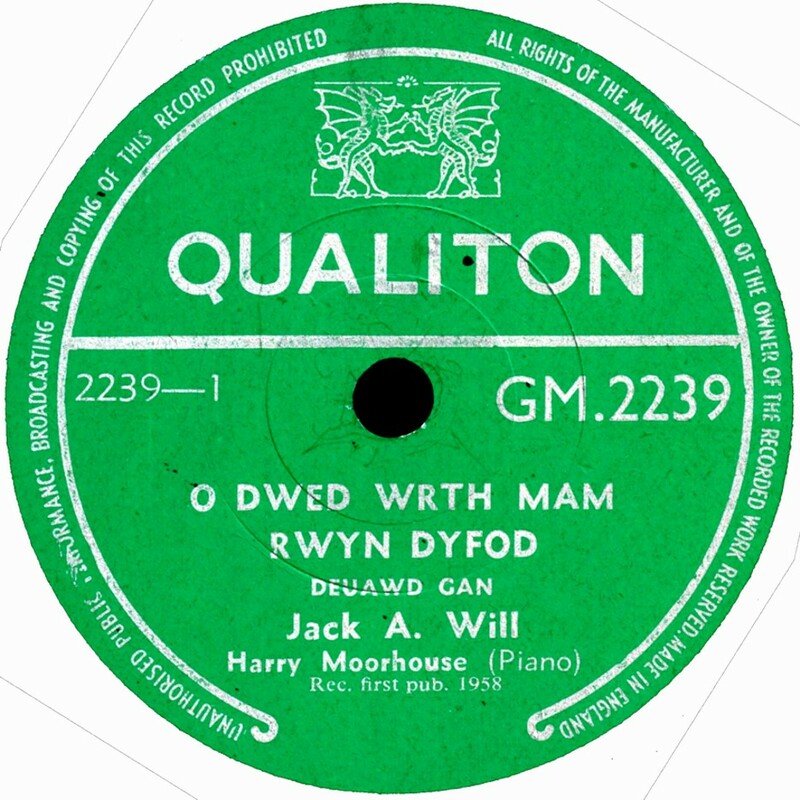 Qualiton Manufactured by Philips Electrical Ltd in England for Cwaliton Records of Pontadawe in South Wales, Qualiton is possibly the sole Welsh-only record label of the 78rpm era. 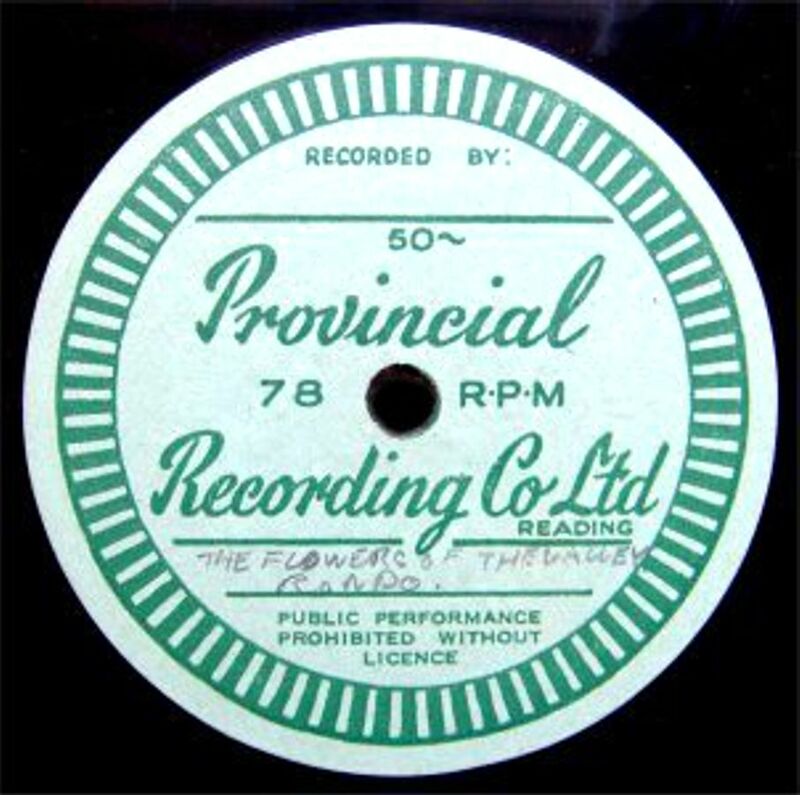 The 78rpm records date from the 1953 until about 1960, and three different series are known: the GM- and RD ones shown here and also a CJ- series. Thanks to Bill Dean-Myatt for the label scans. 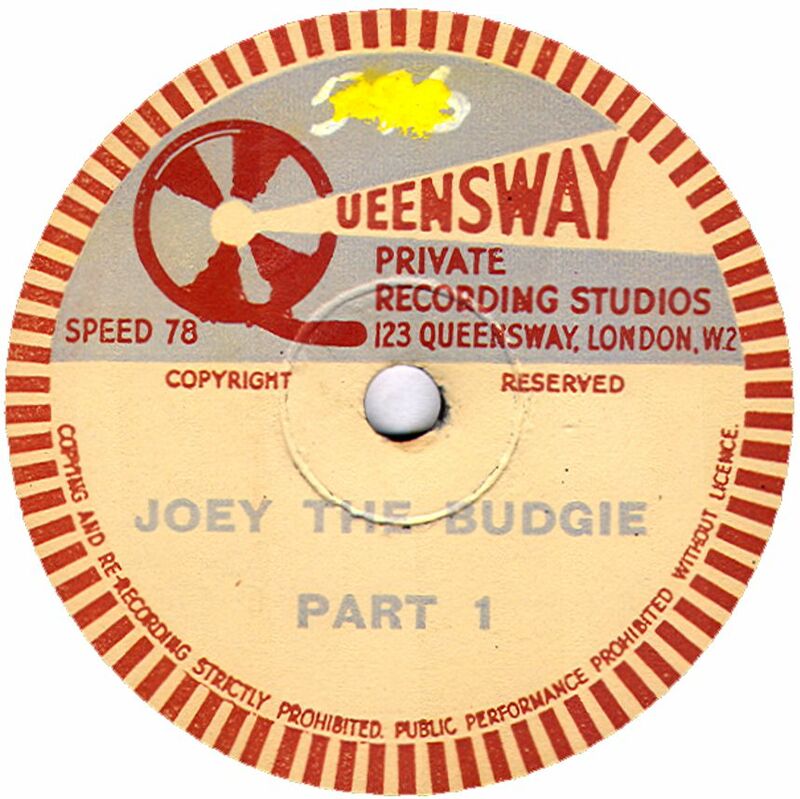 Queensway The Queensway record shown here was made by or for a private recording studio in London, and appears to be a special private recording, but it has been reported that Queensway records were stocked by wholesalers Thompson, Diamond & Butcher in about 1955, which implies standard records for sale to the public. Any examples of information about such records would be very useful here.